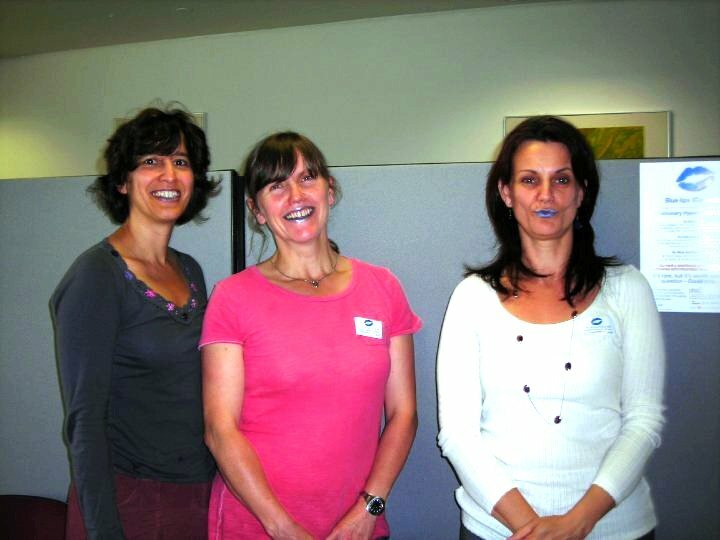 First thing on Friday we heard from Luisa Bonelli, President of the Associazione Malati Ipertensione Polmonare (AMIP) who had just returned from representing PHA Europe and also collecting blue kisses at the European Respiratory Society Congress in Barcelona. 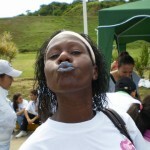 Luisa shared with us an email from a family who has been out there collecting kisses and educating people around them about PH. 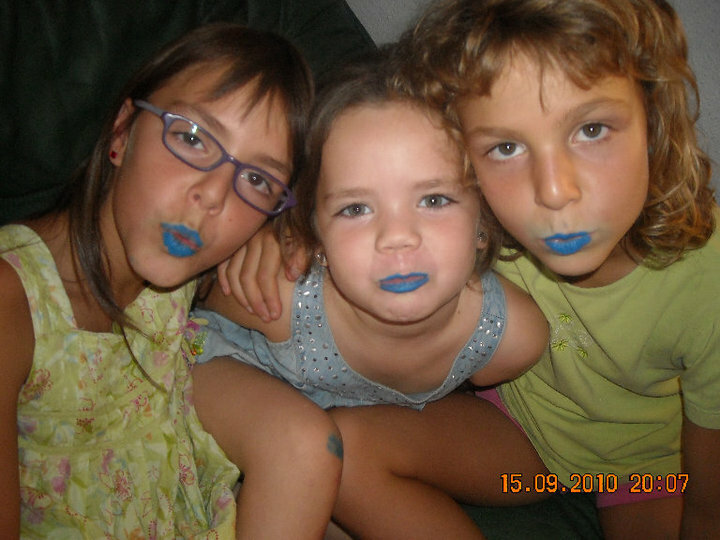 Tiziana and Simone Francheschini have been inspired in their work by their little daughter Sofia to achieve the incredible feat of collecting 3019 blue lip prints for the record attempt. 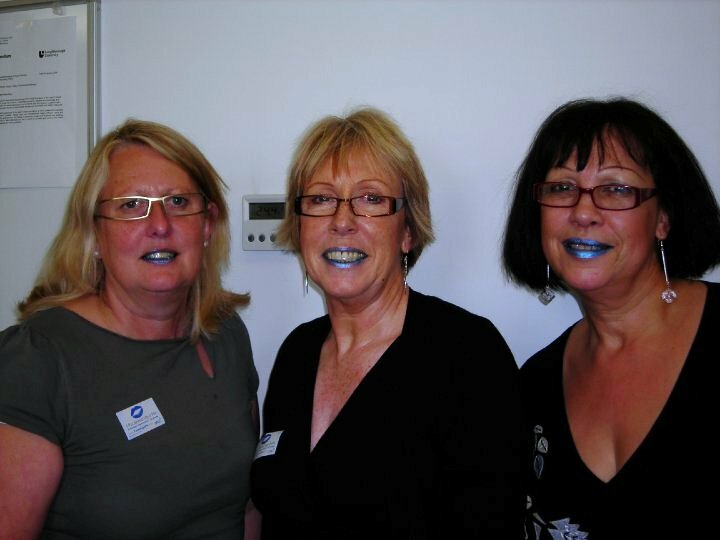 Friday was a great day for PuckerUp4PH as coinciding with receiving this incredible news, we were able to announce the extension of the campaign all the way through till the end of International PH Awareness Month in November. 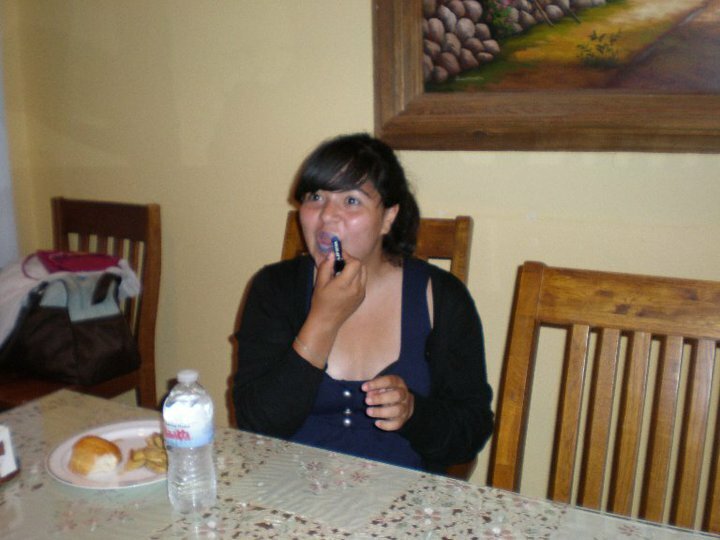 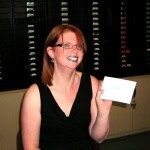 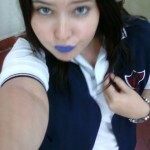 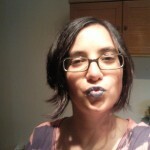 So please don’t stow away the blue lipstick just yet! 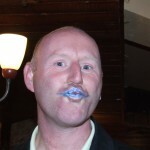 Late last week and over the weekend news of a great many more kisses already collected has reached us, taking us up close to the halfway mark. 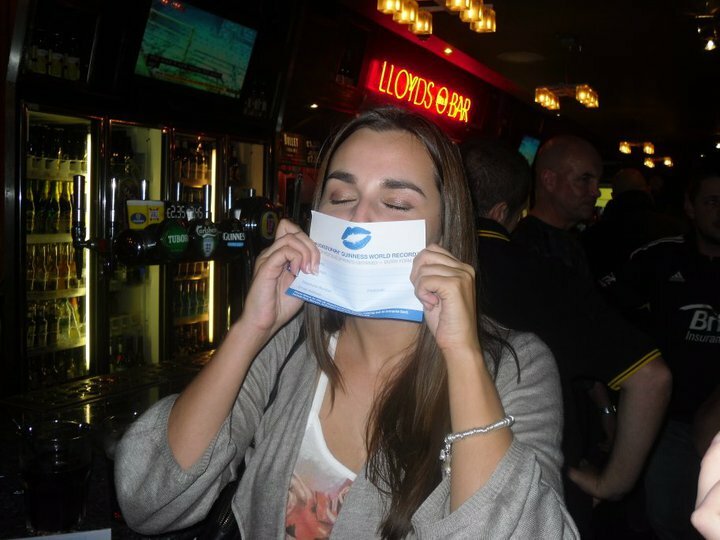 With some incredible plans in the pipeline all over the world, and news of the campaign reaching the ears of individuals everywhere, we know we can achieve our aim! 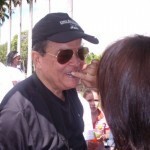 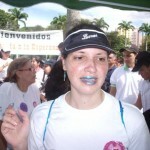 A further 562 kisses have been collected in Puerto Rico by the Grupo de Apoyo para Pacientes de Hipertensión Pulmonar en Puerto Rico (GAPHPPR) at the Banco Popular 5km race and more are being lined up when they take to the Health Fair of El Nuevo Día, the largest newspaper in Puerto Rico later this week. 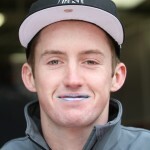 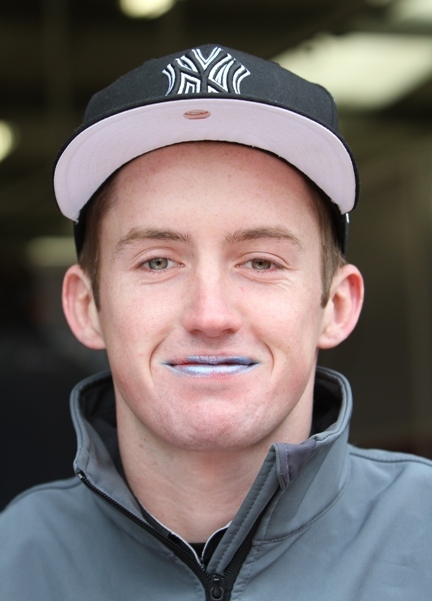 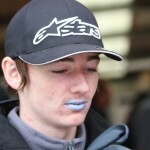 In the UK this weekend, Silverstone hosted the British Superbike Championship where special thanks goes out to Sandie Edwards for collecting over 180 kisses from what couldn’t have been the easiest crowd to convince to put on the blue lipstick. 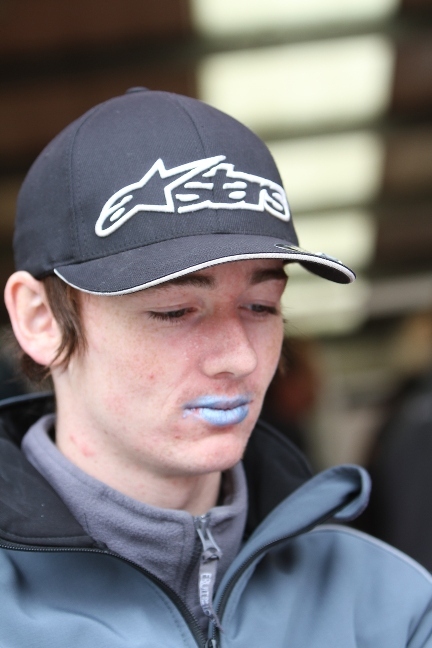 We have photographic evidence thanks to Ben Davies of SMARTFotos though that even several of the stars, Dean Brown & Jack Kennedy were keen to do their bit for PH awareness! 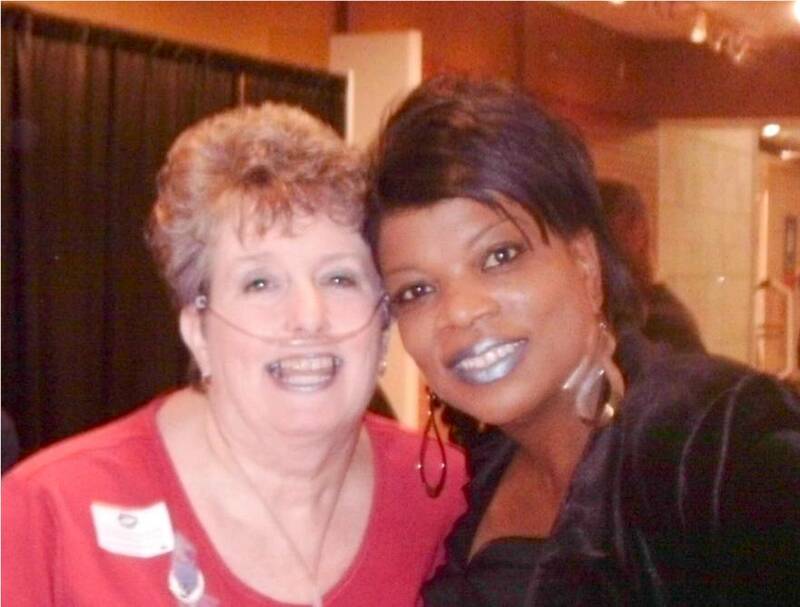 Barbara Thompson of Memphis has now filmed several shows with her good friend Loretta McNary on her talk show, accompanied by Dr. Paul Deaton and has achieved so much for PH awareness with Loretta demonstrating her willingness to PuckerUp in support of PHers all over the world on national tv and on YouTube! 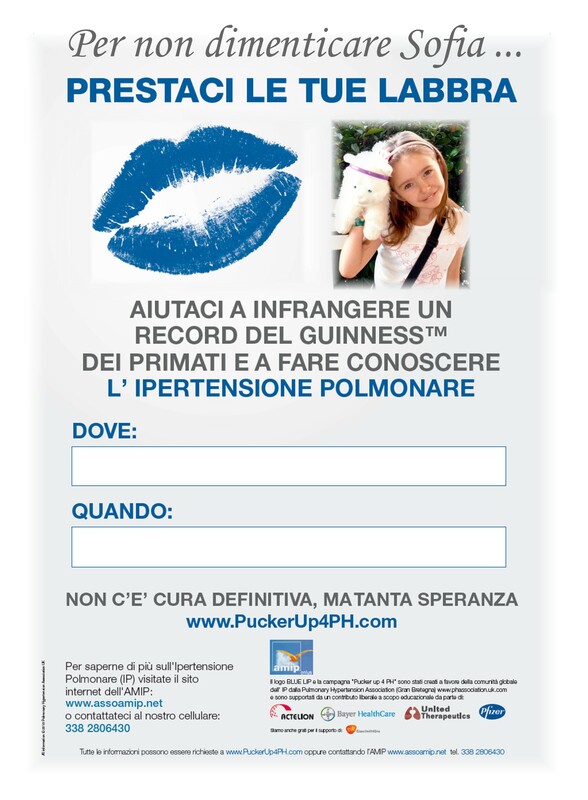 Delighted to learn of the news from our good friends at the PHA in the US that requests for entry forms, information leaflets, stickers and posters is increasing steadily…lets hope it continues to grow and grow..we have a big target to hit…..fantastic to learn of the numbers of college folk, schools,church/faith groups..people from all walks of life who want to help us spread the word about this condition and help us break the world record…!! 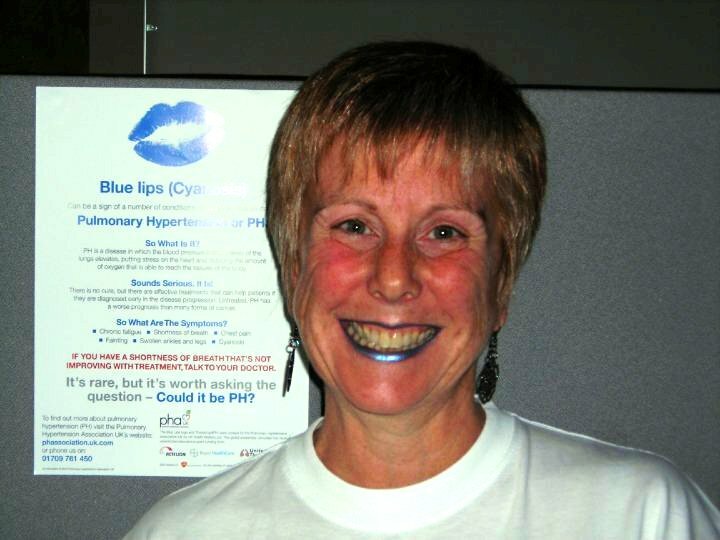 As we move forward towards what our US friends and many other nations support association/groups are working towards… PAH Awareness Month….which for many is November! 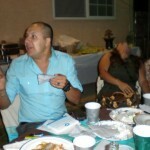 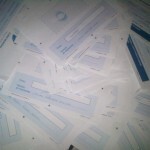 !..its great to see interest and involvement grow.. 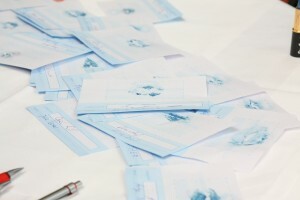 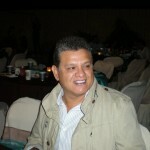 In fact, we’ve recieved a number of requests from across the World to extend and expand the campaign. 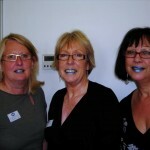 Moving the proposed deadline for entries from Halloween until the end of November so that even more people can get involved….we are talking to our supporters and consultiing with all the associations to counsel PHA-UK’s trustees, who make the final determination… If this did go ahead, PHA-UK could announce the final count of entries during a reception to celebrate its tenth anniversary, taking place during the British Thorasic Society’s Winter meeting in the first week of December. 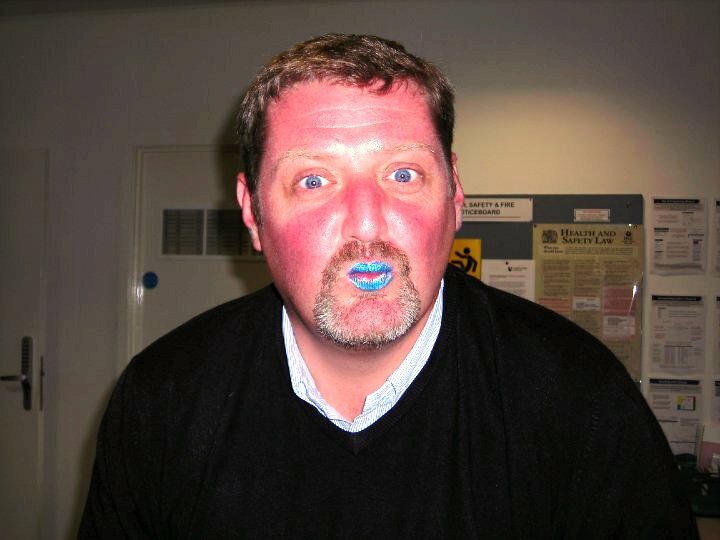 We’ll let you know as soon as we have news on that..in the meantime..we have just five weeks until the current deadline…Can we do it??? 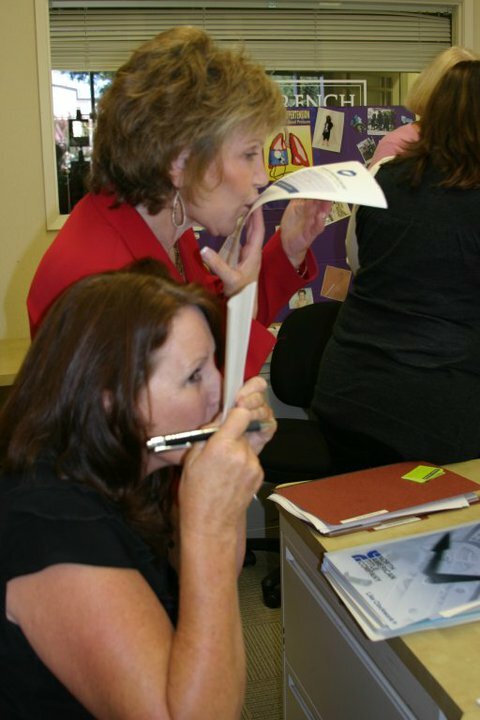 ?….With your help, I’m sure we can ! 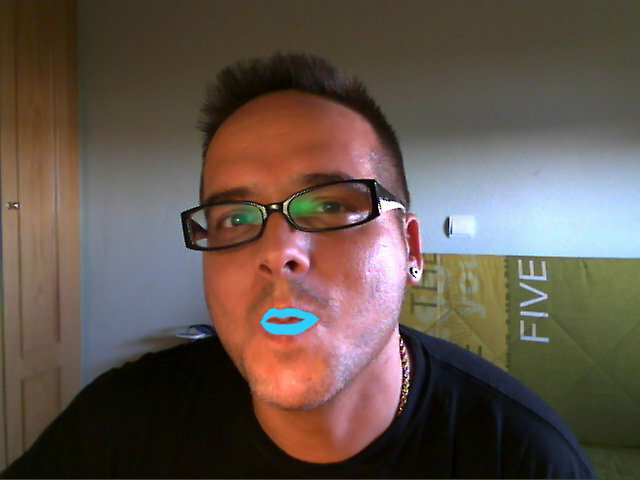 !…So..Come on…You know you want to…Pucker Up 4 PH..and then get everyone you know and everyone they’ve ever known to do the same! 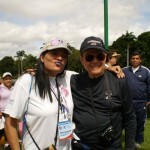 !…because together, we can make a difference !! 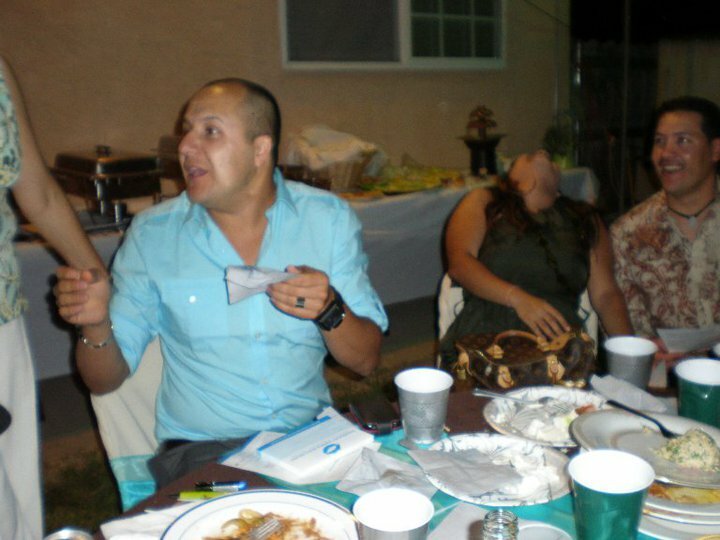 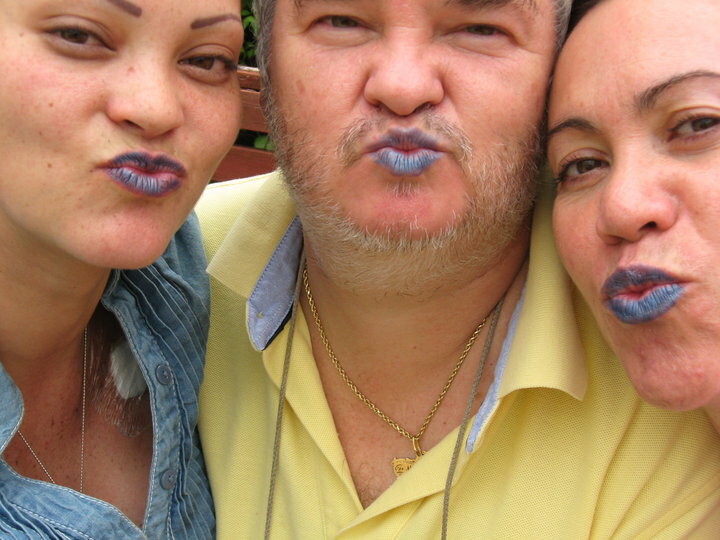 Spanish Speakers Everywhere get Kissing! 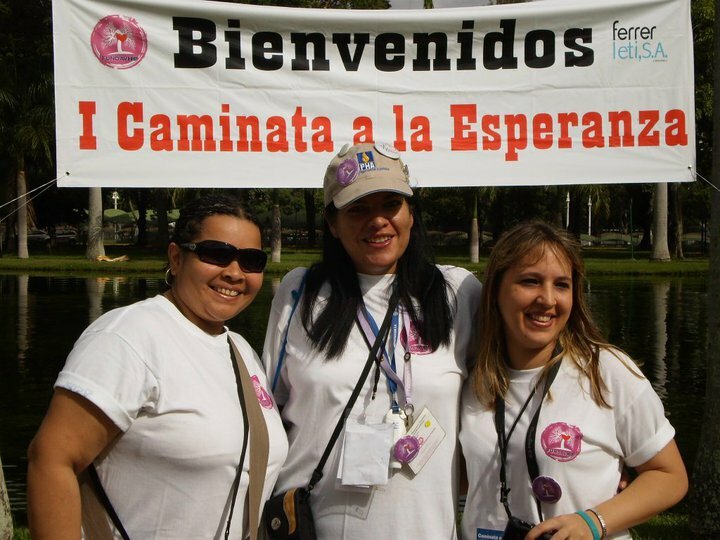 In the last couple of weeks it seems the Spanish speaking countries have really taken up the challenge and are running with it! 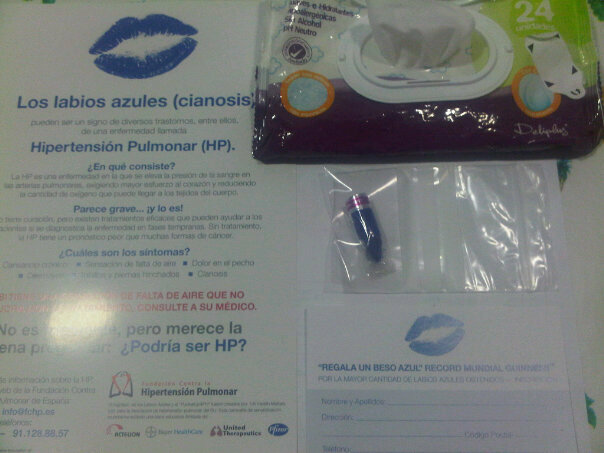 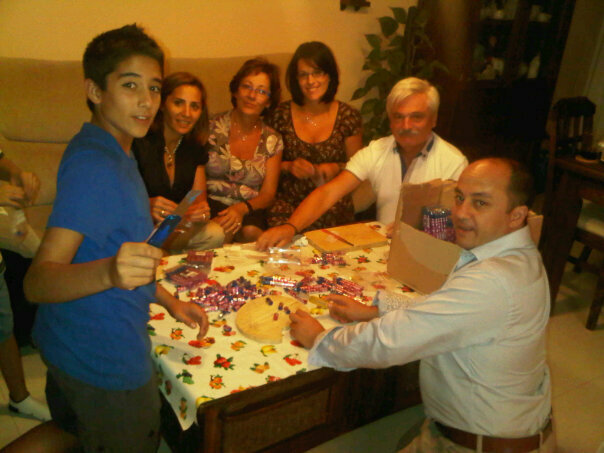 The Fundación Contra la Hipertensión Pulmonar (FCHP) in Spain have reported their first official kisses numbering in excess of 250 thanks to the efforts of Silvia Pérez with the help of family and friends in Logroño and we know there are many more on the way with a large network of friends and supporters, 2000 kits prepared and alliances with the city hall of Parla in Madrid and with a large hotel chain. 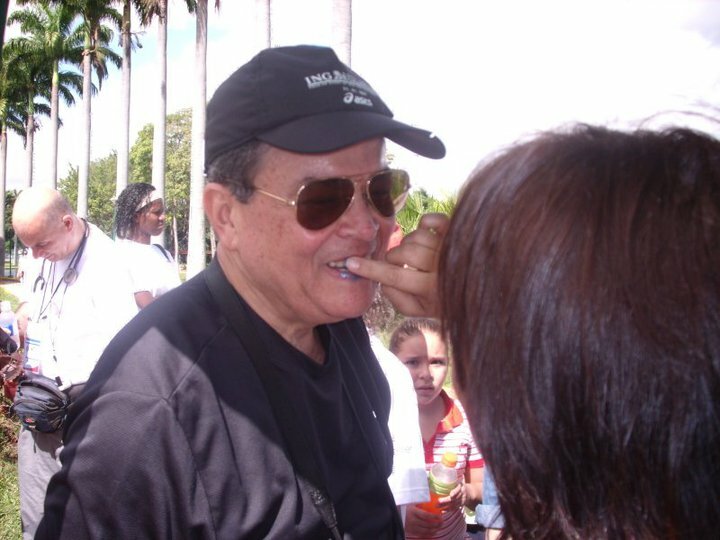 Big congratulations go to FCHP and their leader, Enrique Carazo, for all the media coverage they have achieved for PH, their association and PuckerUp4PH! 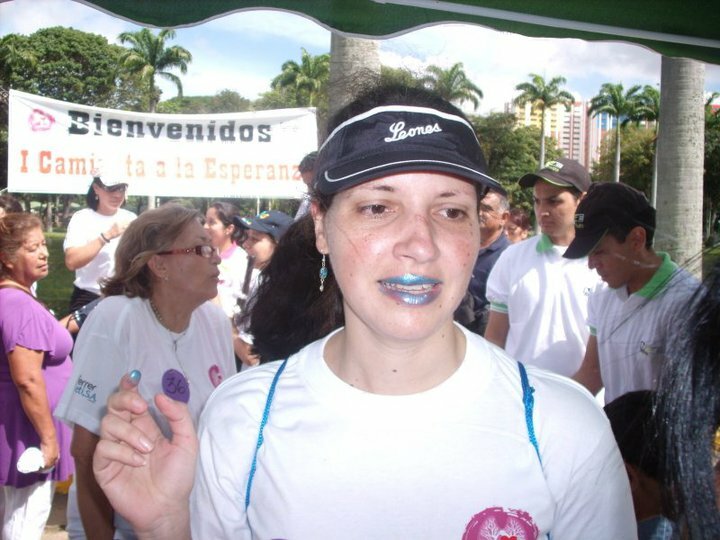 The Fundación Venezolana de Hipertensión Pulmonar (FundaVHIP) in Venezuela have also been inspired to great efforts by their president Anabell Sivira and confirm they are holding more than 300 kisses after recently combining their “Caminata de la Esperanza” or “Walk of Hope” event with PuckerUp4PH. 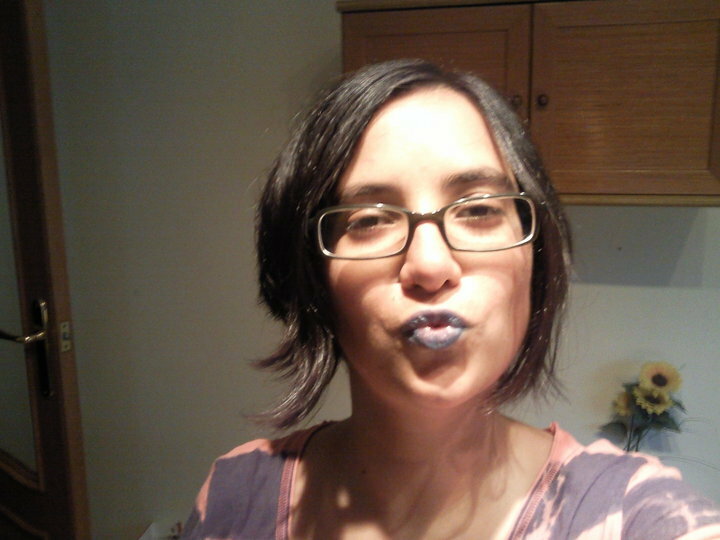 Meanwhile the PuckerUp4PH facebook community is flooding with photos of the “besos azules” and we are working to confirm rumours of a further 800 kisses collected in Venezuela and still more in Mexico, Columbia, Argentina, Guatemala, Honduras & Costa Rica. 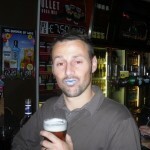 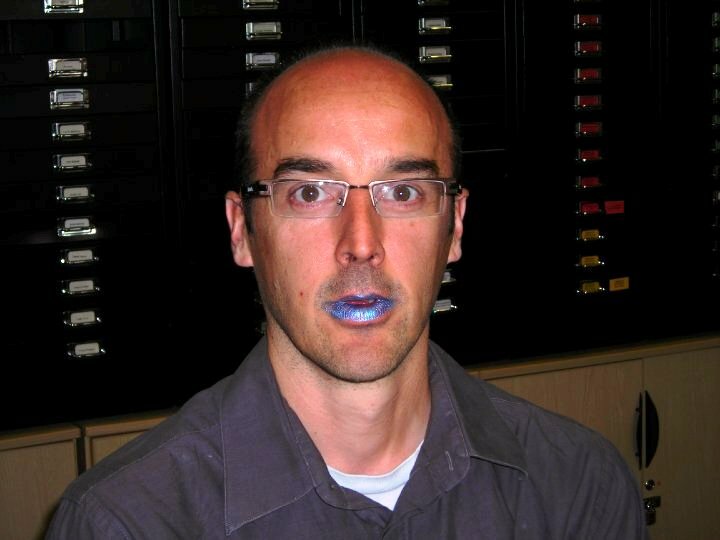 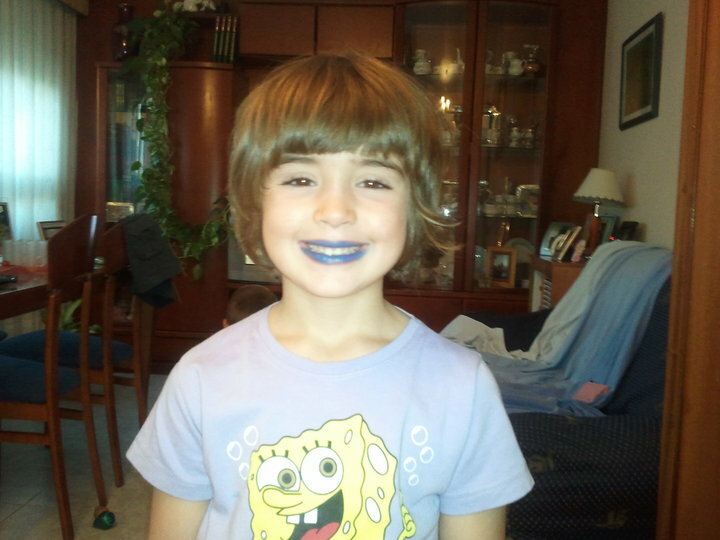 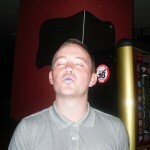 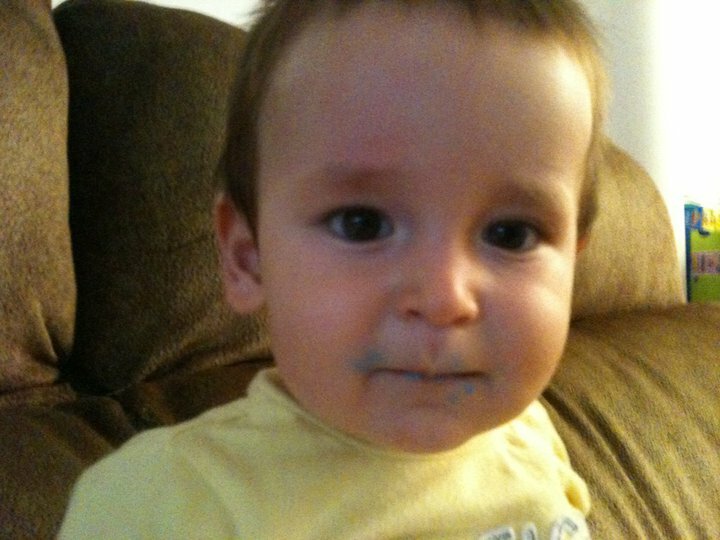 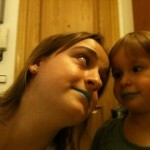 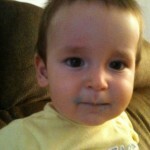 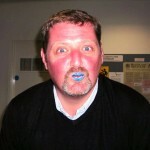 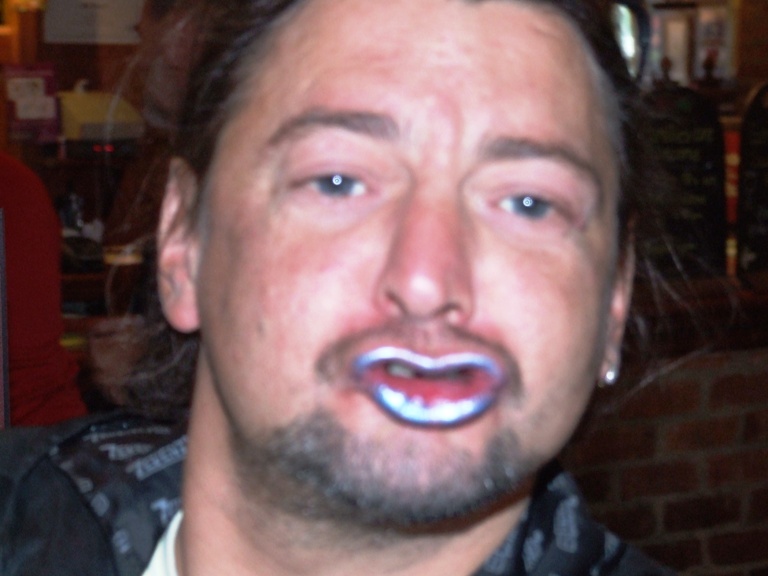 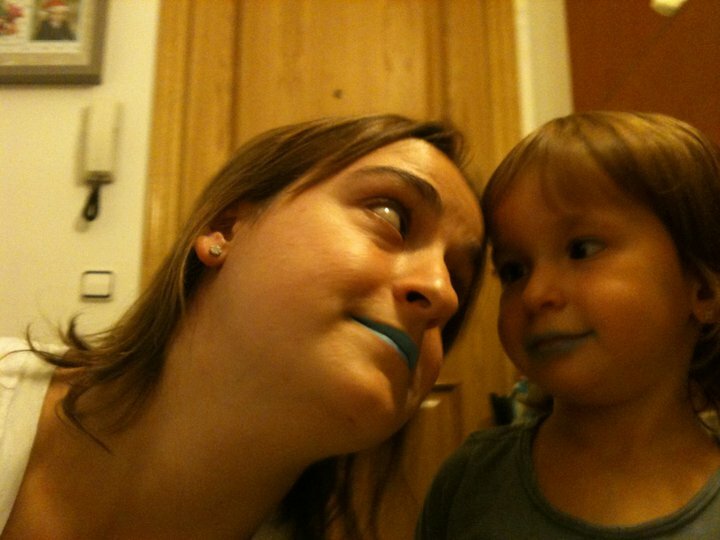 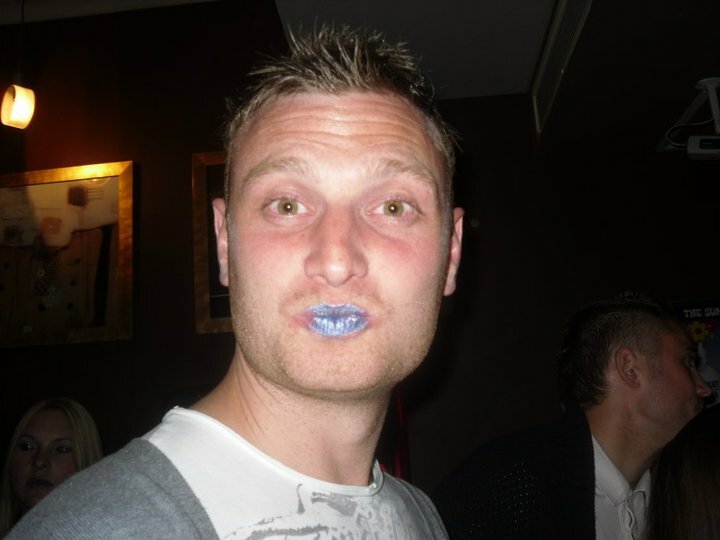 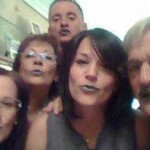 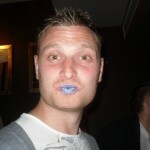 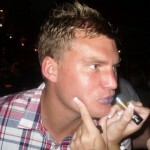 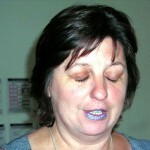 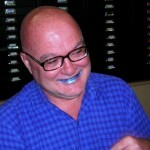 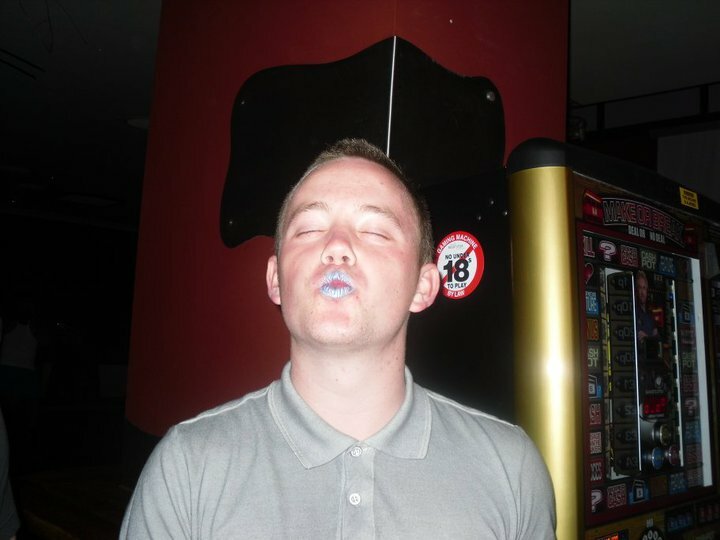 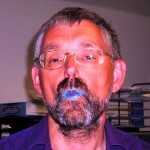 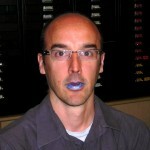 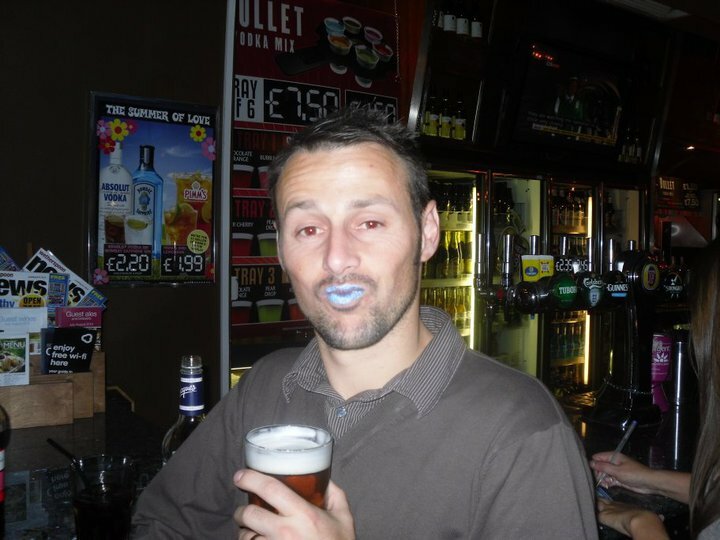 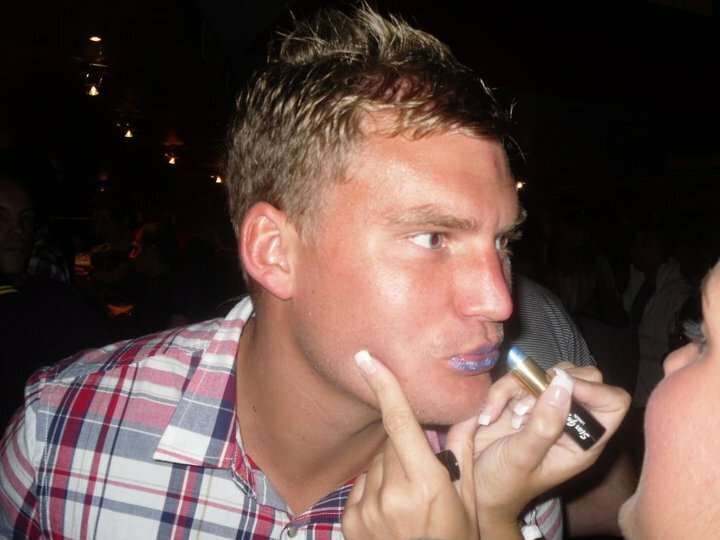 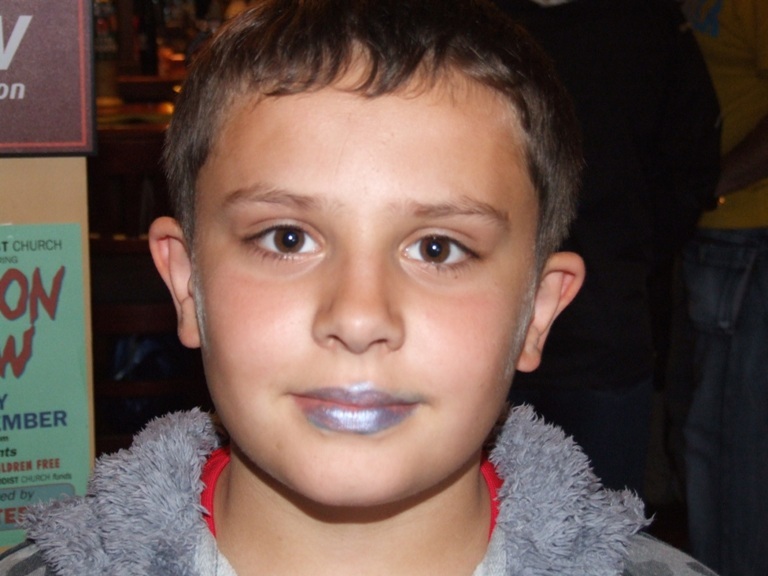 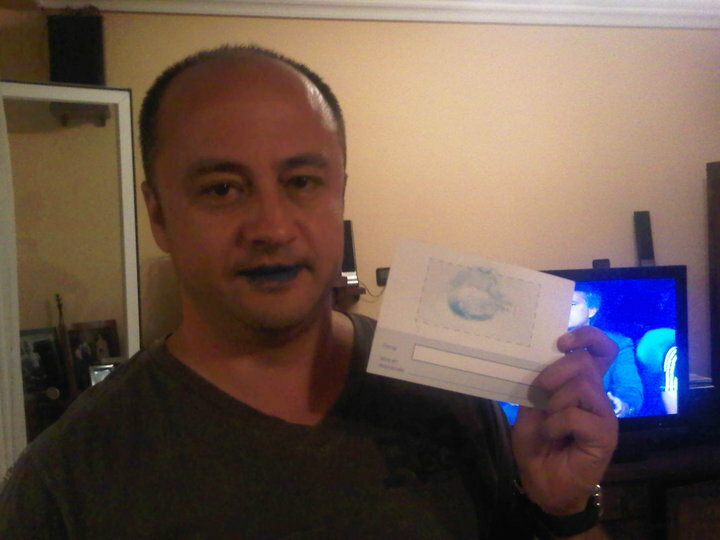 Blue Lips Campaign still attracting new Puckerers! 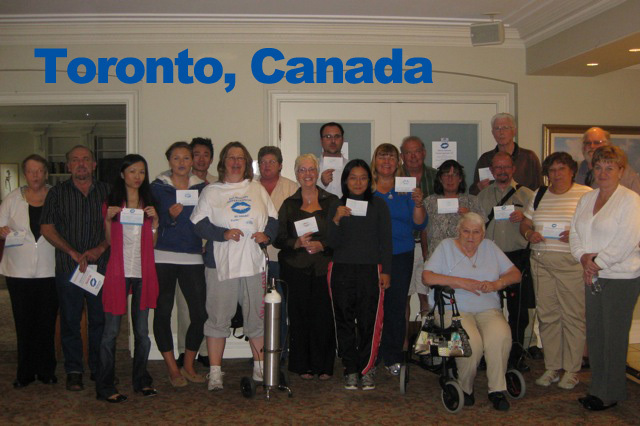 It’s great to start a new week welcoming another nation and their PH patient support organisation to the campaign. 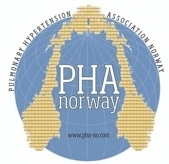 PHA Norway’s leader Hall Skåra has made contact on behalf of the 20 patient strong group, expressing their intention to start Puckering Up as soon as possible. 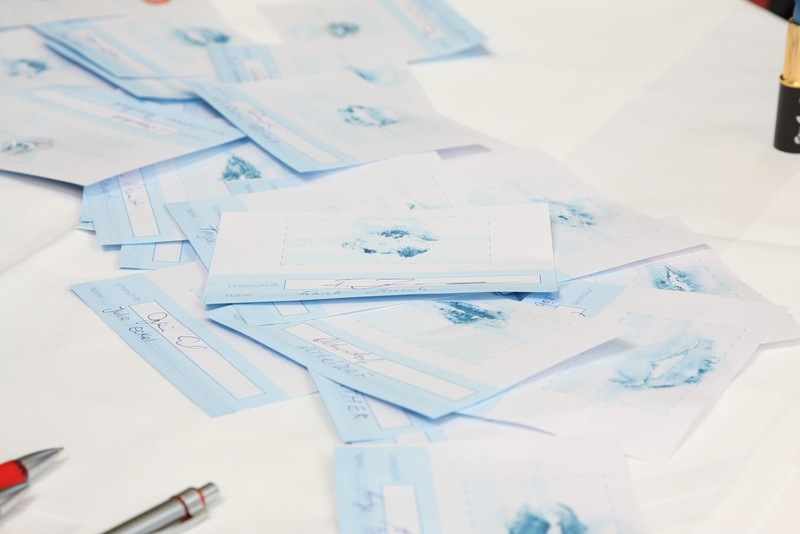 We can’t wait to share more Scandinavian news with the world. 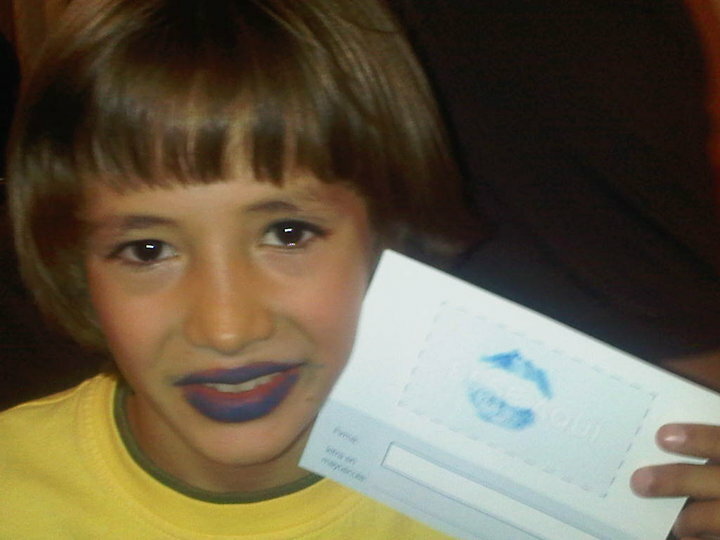 Both Singapore and Germany have checked in with their first reported kisses last week. 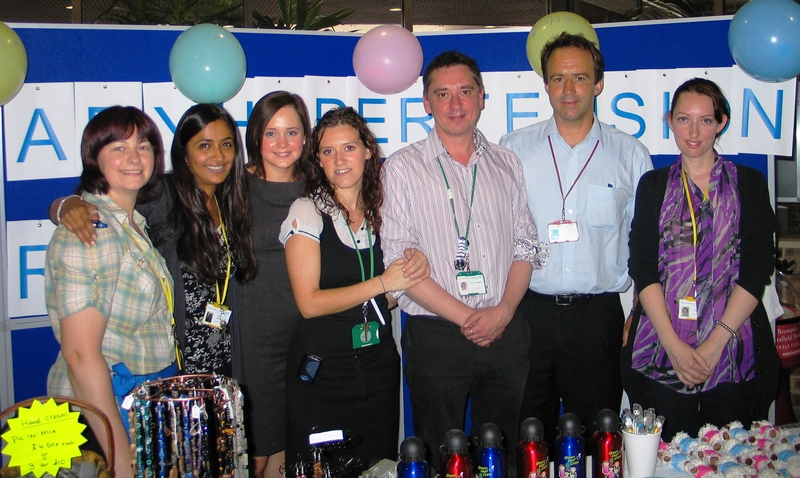 The Singapore PAH Support Group worked closely with their local Bayer office to organise a stand at the Singapore General Hospital. 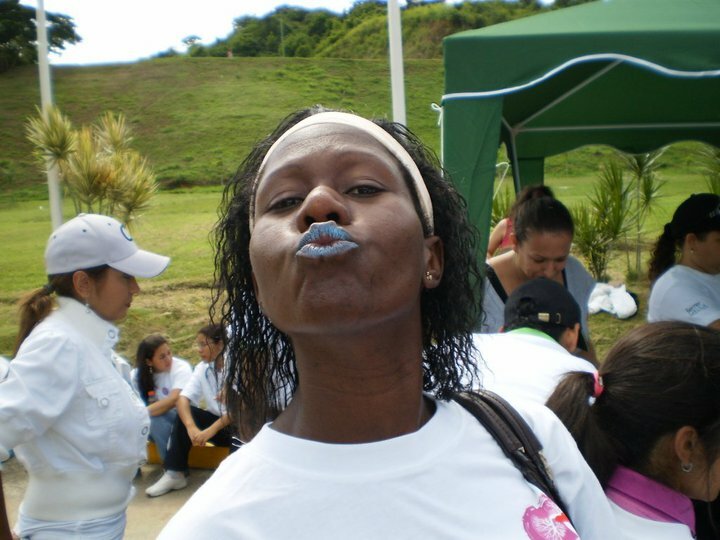 Despite heavy downpour in the morning where they were in danger of getting their information materials blown away, 243 kisses were gathered from hospital staff, patients and passers-by! 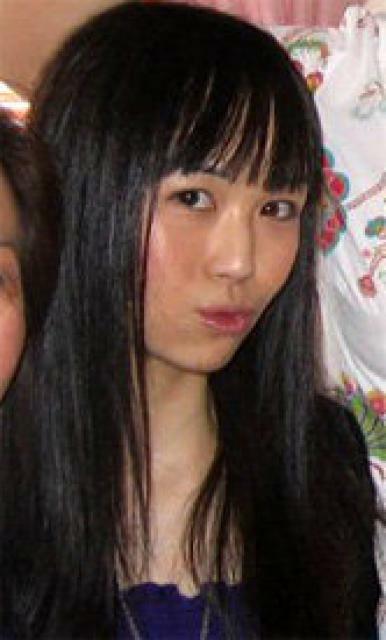 Two more PuckerUp4PH events are planned in the coming weeks at the National Heart Centre (NHC) on Wednesday the 29th of September and then on Monday the 4th of October at the Tan Tock Seng Hospital. 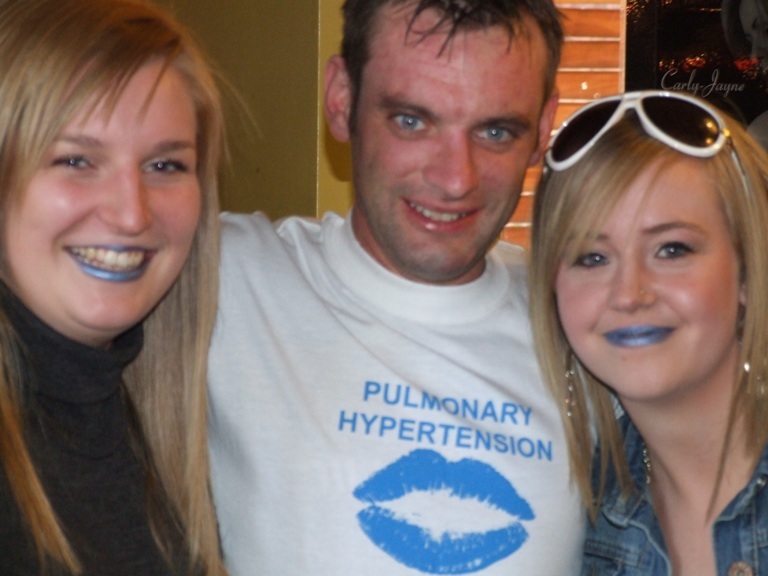 In Germany the local association, pulmonale hypertonie e.v., have been collecting kisses from members, family and friends and say there are still more to come from a support group meeting to be held in October. These will be added to the 188 blue kisses collected at a Bayer sales force meeting last week and those due to be collected at an internal health awareness day at Bayer Germany this week! 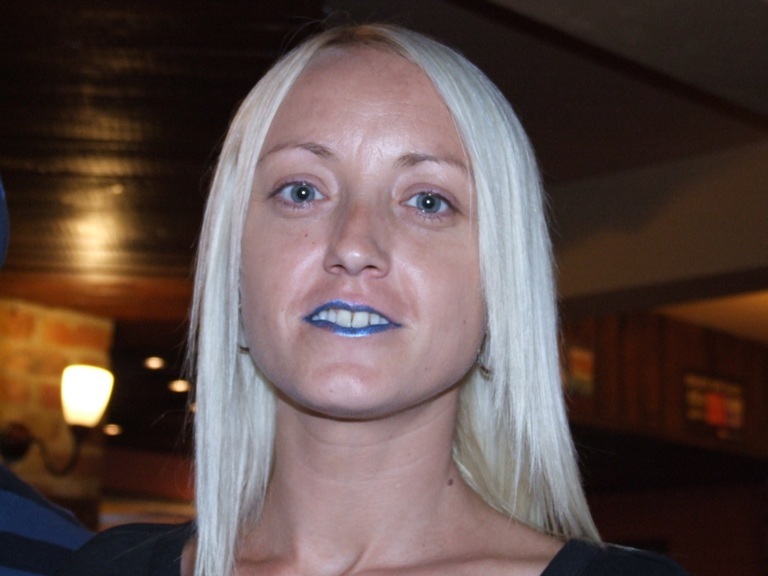 Here in the UK excited murmurings foretold the return to the initiative of the world’s current unofficial record holder for blue lips, Tracie Pannell. 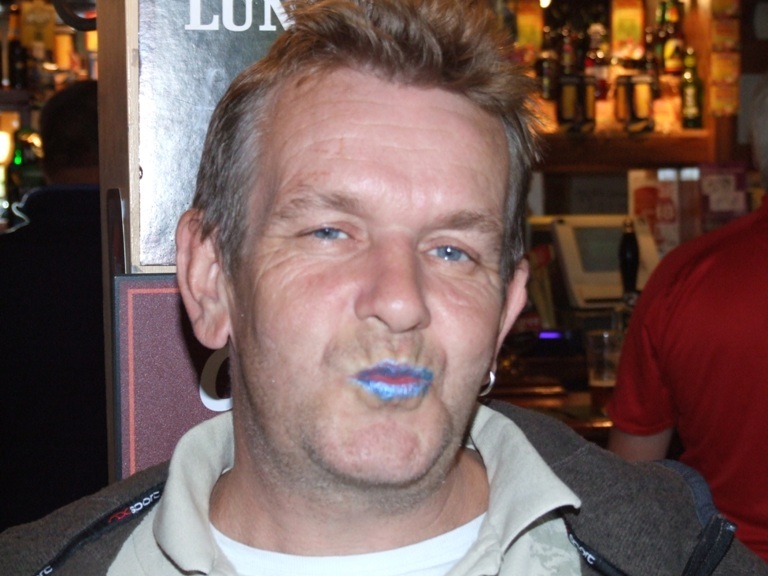 Over the weekend we are told virtually the whole of Exmouth descended on the local Tescos supermarket in order to lend their lips to the campaign. 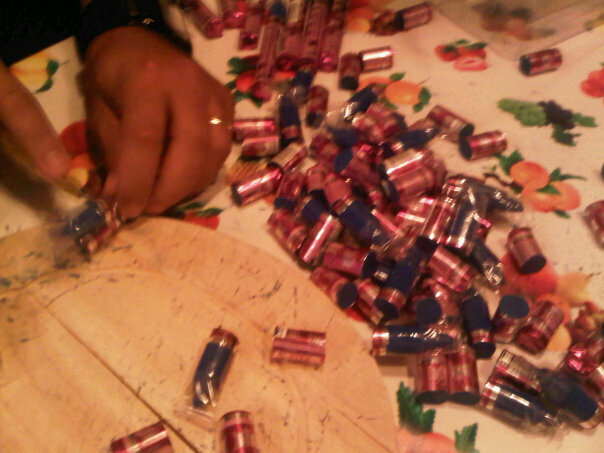 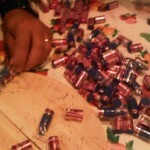 Unconfirmed reports speculate that well over 400 kisses have been collected! 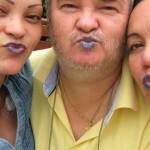 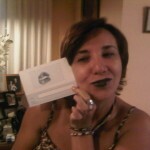 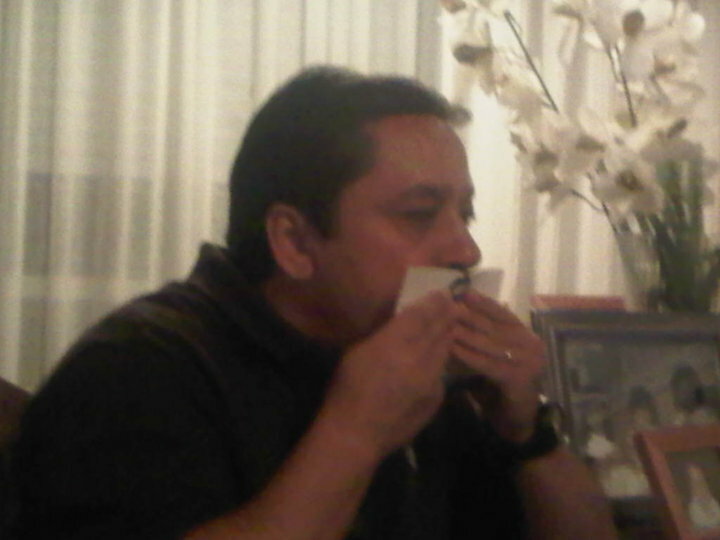 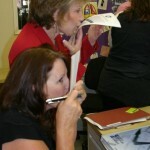 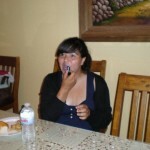 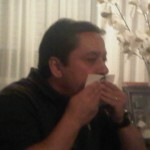 Previous Puckerers in Toronto & California Inspire New Blue Kissers! The Toronto chapter of PHA Canada have been great participants in the PuckerUp4PH campaign from the very start of the international campaign last year when their support group leader, Loretta Chu, was shortlisted in the search for the ‘Lips of 2010′. 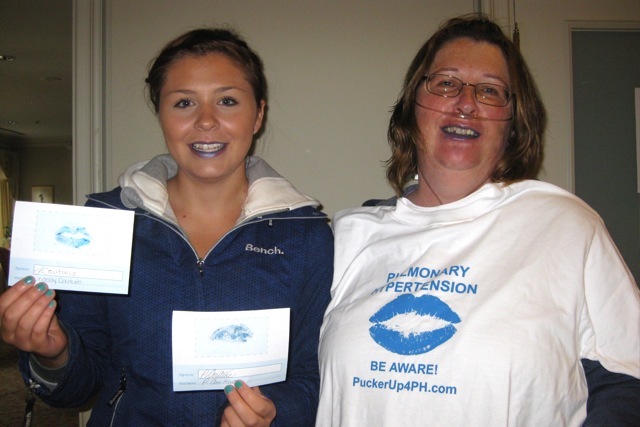 This past week, the group has banded together at their most recent support group meeting to PuckerUp4PH again, collecting 25 kisses from those attending. 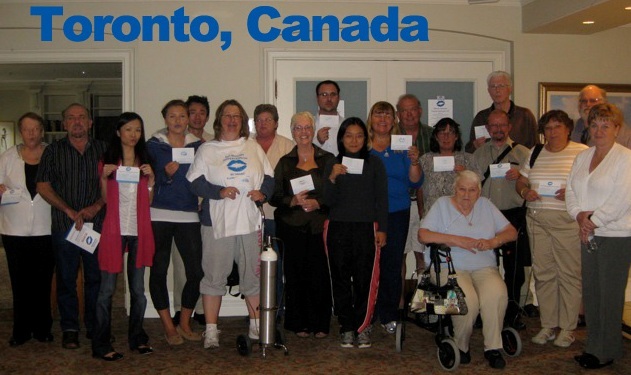 They are not done yet however, with the exercise generating much excitement in the group and many members taking kits home with them to extend the campaign into their own communities. 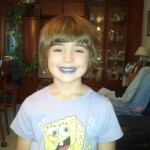 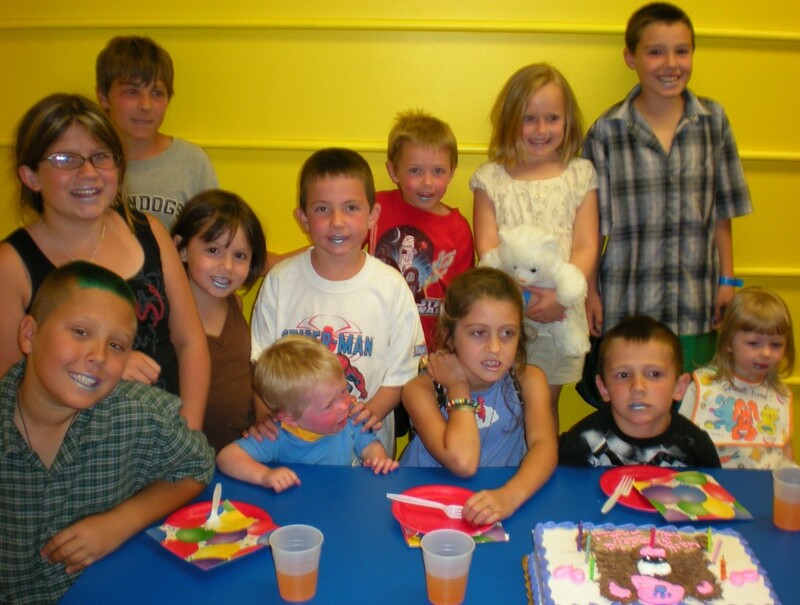 Last year in California, young Katie Grace Groebner celebrated her 7th birthday with a Blue Lips party where all her friends and family PuckeredUp4PH and sent their photos in for participation in the 2009 campaign. This year Katie Grace’s mum Kathy is continuing her efforts to raise awareness and understanding of PH and has caught the interest of a real estate agent in the area. 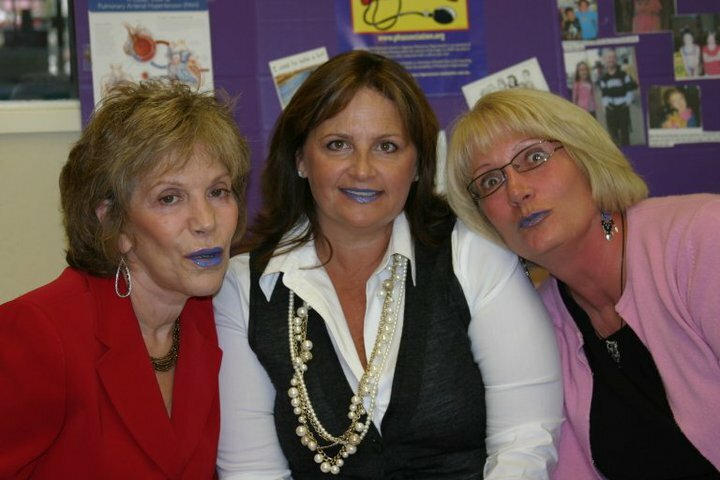 Windermere Lynne French & Associates have Puckered Up themselves already and are setting up a Blue Lips Kissing Booth in their Clayton office even advertising in the local paper for people to stop by and lend their lips to the campaign. 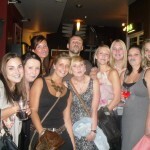 Thanks so much for the amazing support! 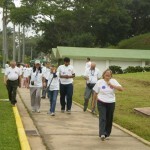 We hope you stay in touch with more news and photos of the participation you inspire! 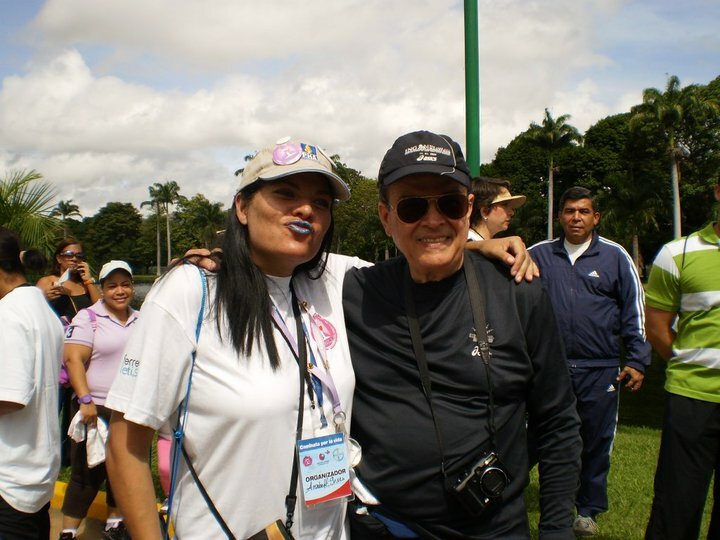 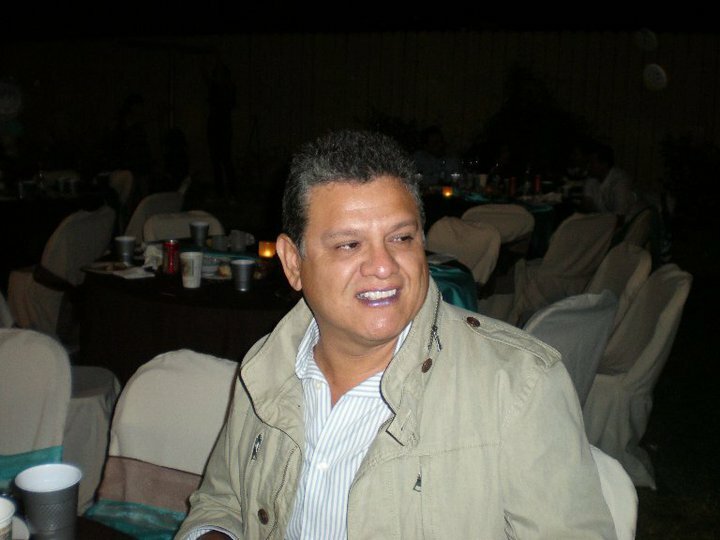 Word is speading across Central and Southern America and we are delighted to learn of activities about to take place in all the above three countries. 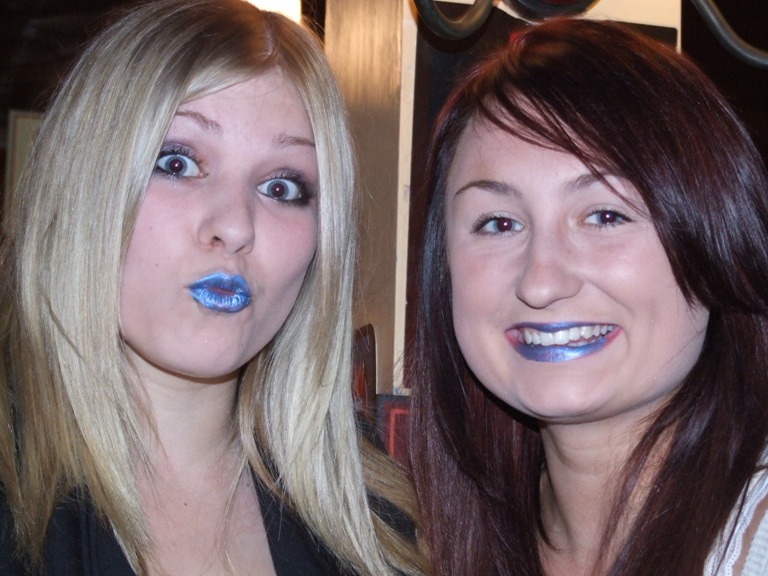 Cherry Red & Shocking Orange are the must have colours for Blue Lip fashion icons..the two colours proving most popular with those of you who are supporting the campaign through our merchandise offerings. 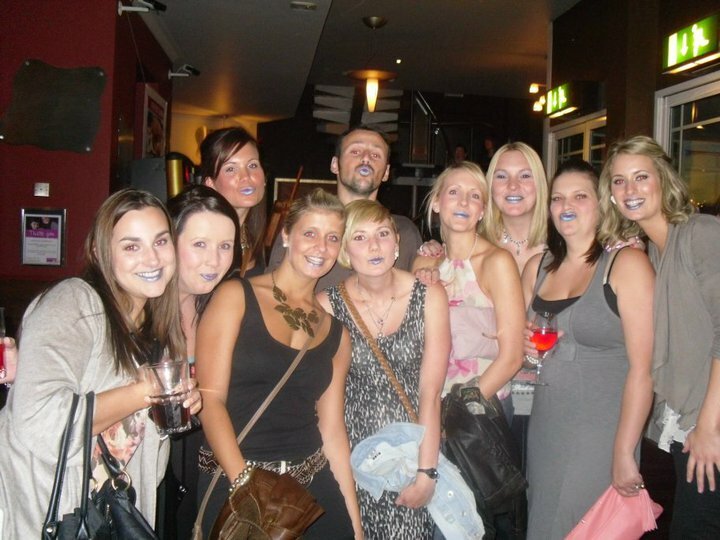 With Universities set to go back..what wonderful opportunity freshers week/activities provide to collect blue kisses and educate younger people about PH. 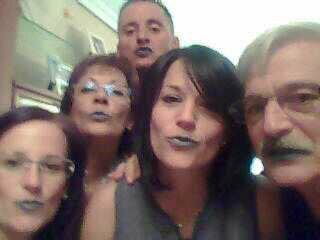 Good luck to jenny’s mum and everyone at Loughborough ..if you are involved in academia..on whatever level.. and would like to get involved, dont be shy email us!! 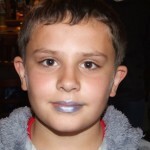 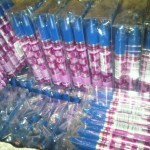 lips@puckerup4ph.com…it doesnt have to be uni’s..secondary, junior or infants schools would be brilliant too!! 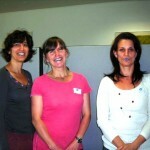 Well done the Royal Brompton and congratulations on a great patient survey day yesterday. 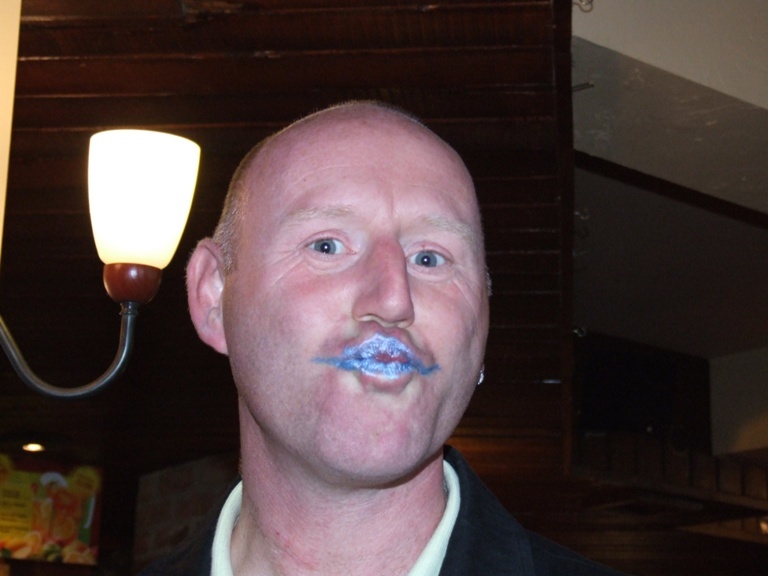 lets hope your actions spur your colleagues at all the fabulous PH centres in the UK to beat your number of kisses collected!! 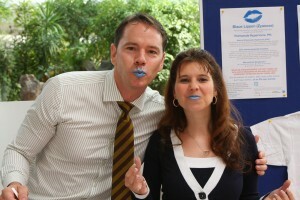 The Royal Brompton Hospital & The Loughborough Business School Go Blue! 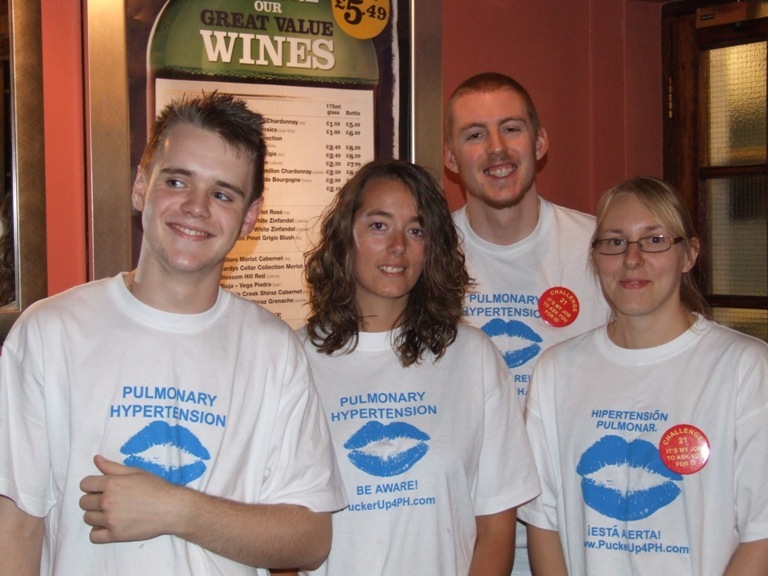 Last Wednesday, the 8th of September, the Pulmonary Hypertension Service at the Royal Brompton Hospital (one of the 8 PH specialist centres in the UK) held a PH Awareness Day. 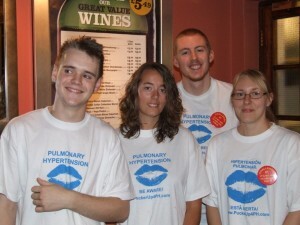 Clinical staff helped man a stand stocked with information booklets and PHA-UK merchandise, answering questions and raising vital funds for the charity. 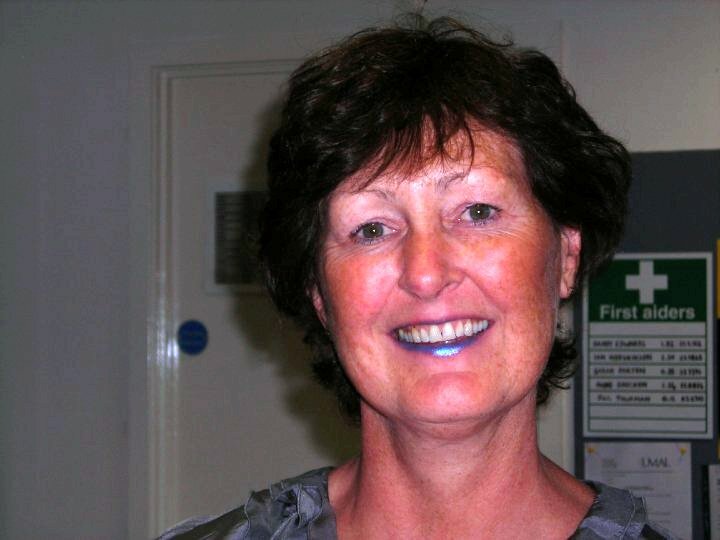 Meanwhile, the latest addition to Jenny Leafe’s supporters in Loughborough is her mum Linda who has been getting her colleagues at Loughborough University’s School of Business and Economics to PuckerUp4PH! 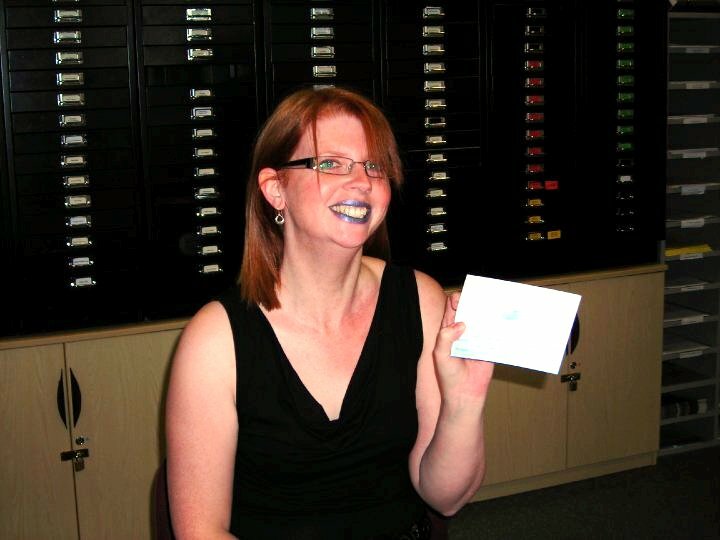 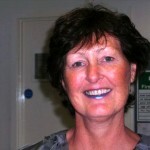 Last week Linda limbered up with a total of 37 kisses collected, and has since placed an order for an additional four Blue Lips Kits which she hopes to use up during the rush of arrivals of freshman at the college in the coming weeks – That’s a potential for another 400 kisses! 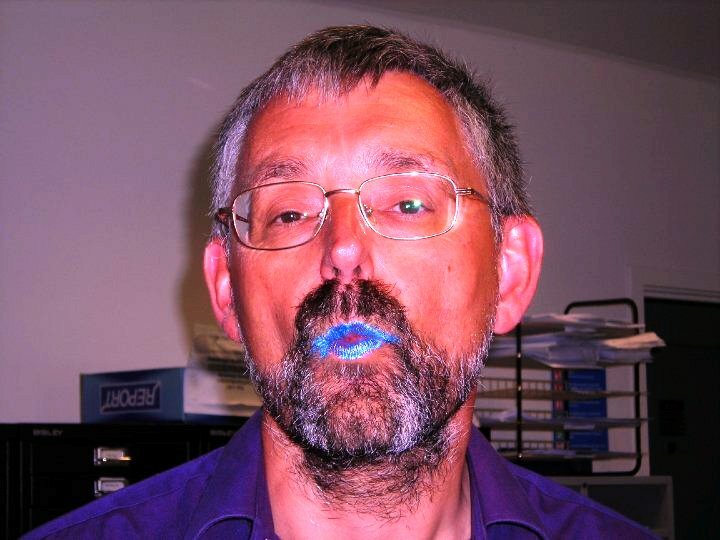 Huge thanks to everyone from both the Pulmonary Hypertension Service at the Royal Brompton Hospital and to all those puckering up at Loughborough University in the coming weeks! Venezuela, Spain, Argentina and Ireland have entered the campaign and the Singapore PH support group, thanks to the aid of Bayer locally, are about to conduct a series of events which hopefully should significantly boost the numbers of blue lip prints collected to date. 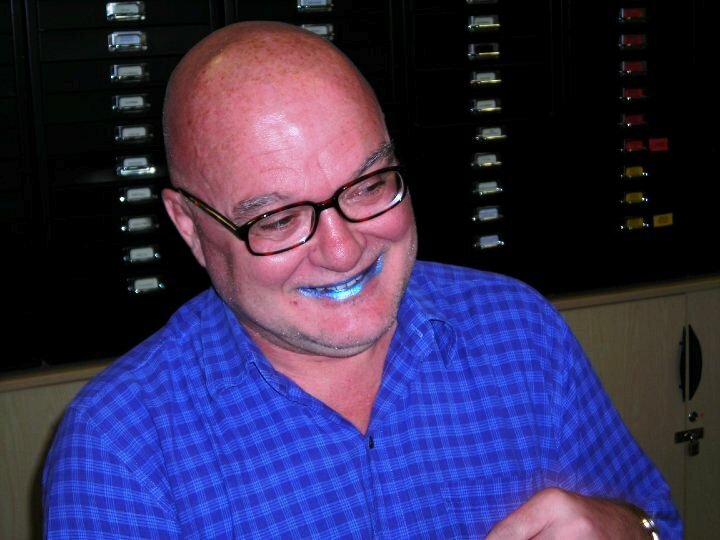 We look forward to welcoming our German PHriends to the initiative and to share with you news of all the Blue Lip/PH awareness raising initiatives that are taking place across the Globe..we’ve got a long way to go…but with everyone working together, we know we can make it. 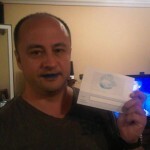 That aim took a step forward today with the news that Countries across Central Amercia will be joining the campaign!! 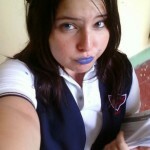 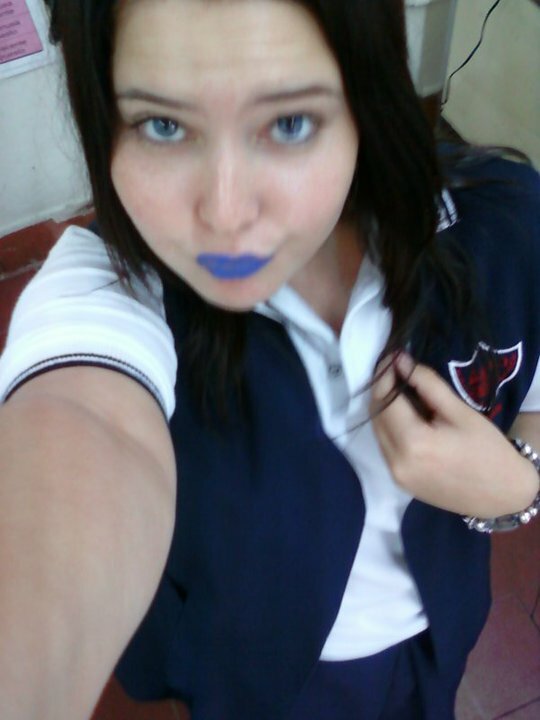 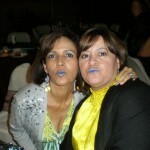 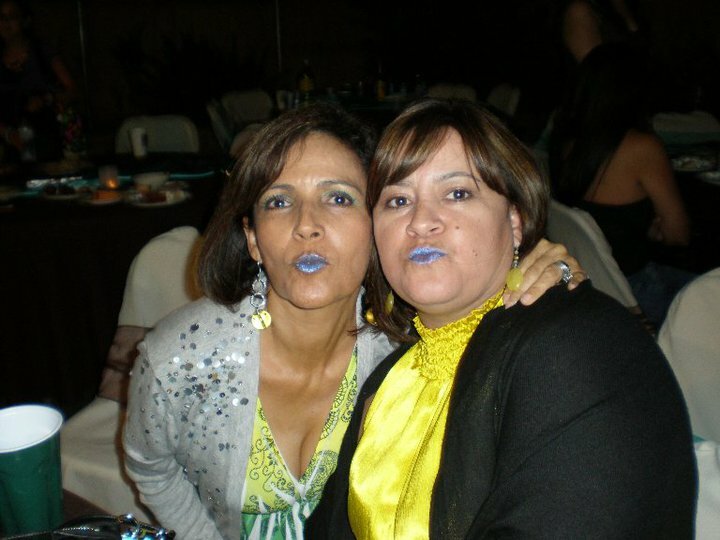 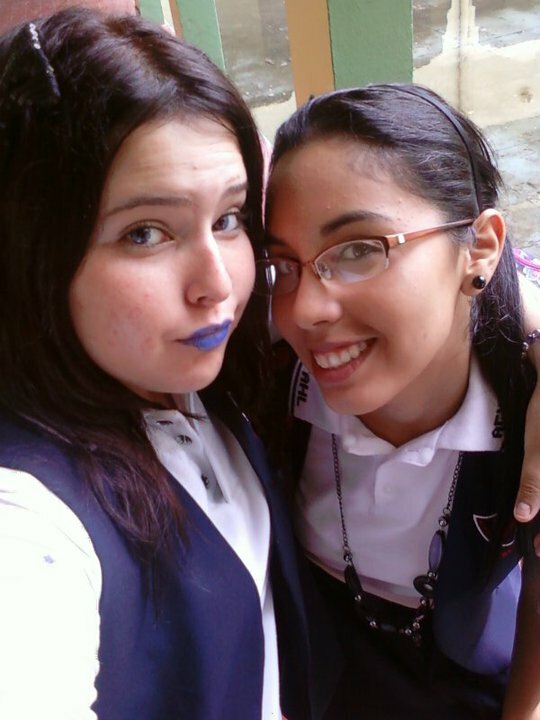 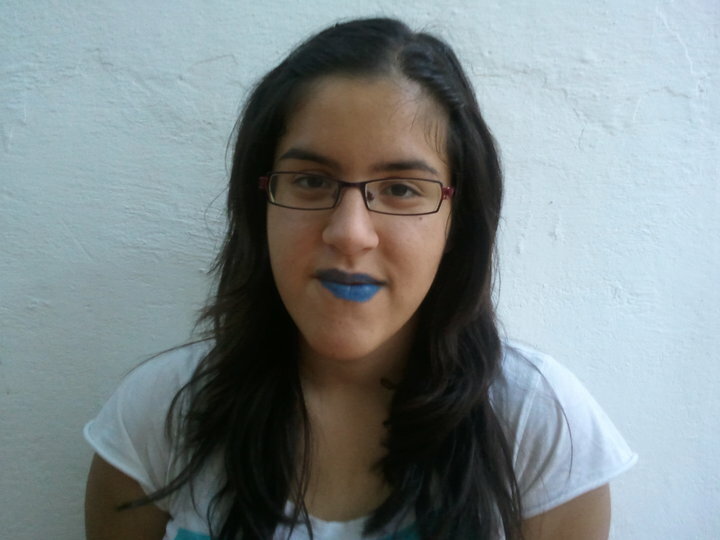 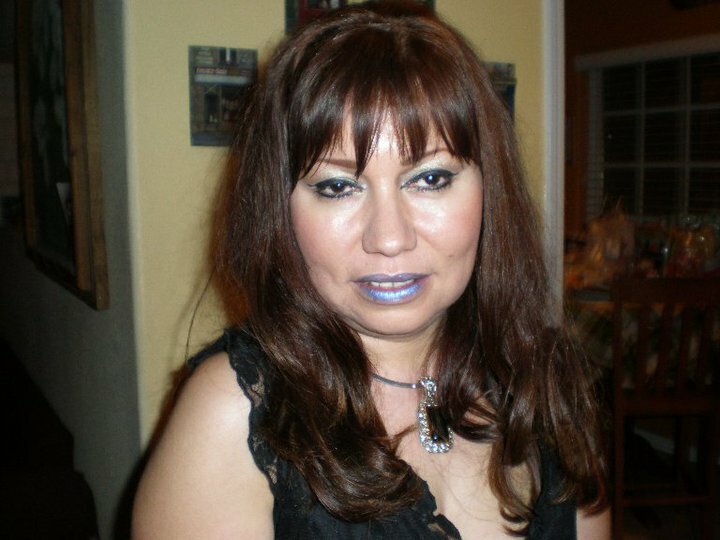 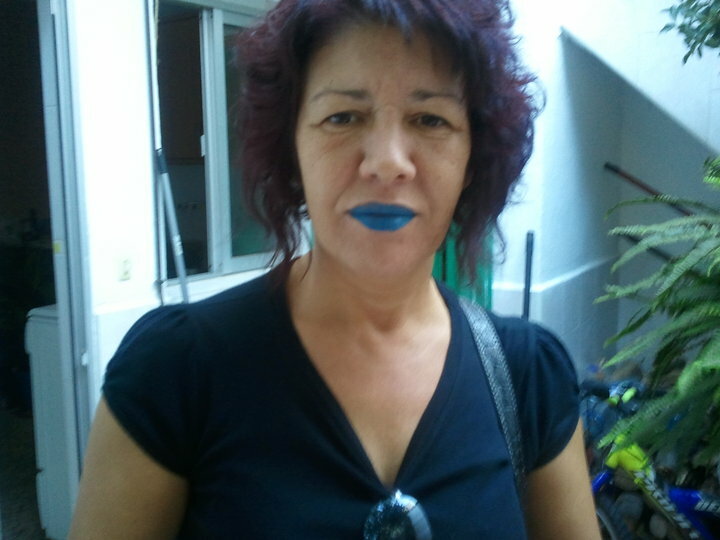 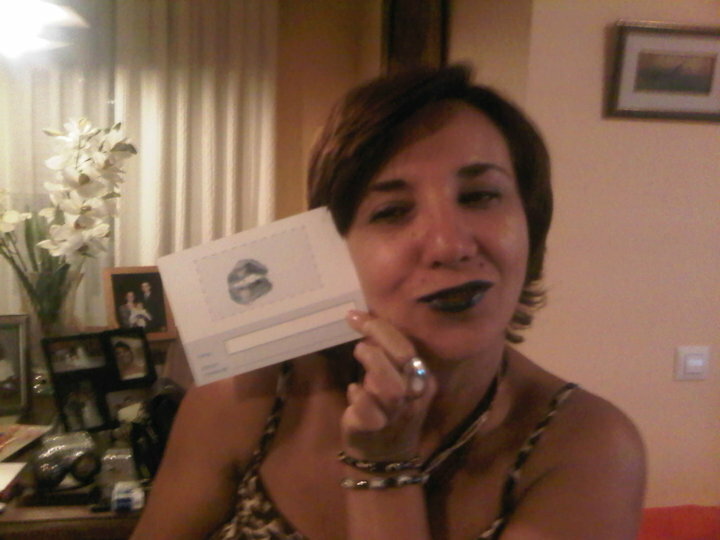 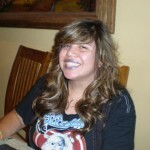 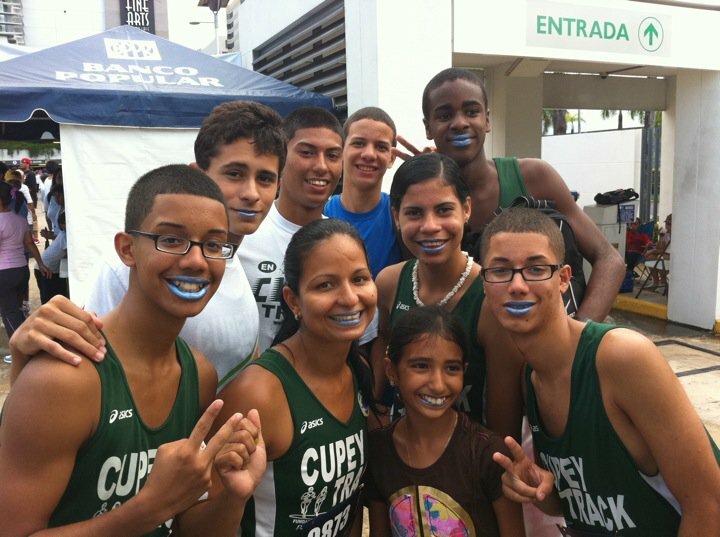 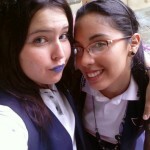 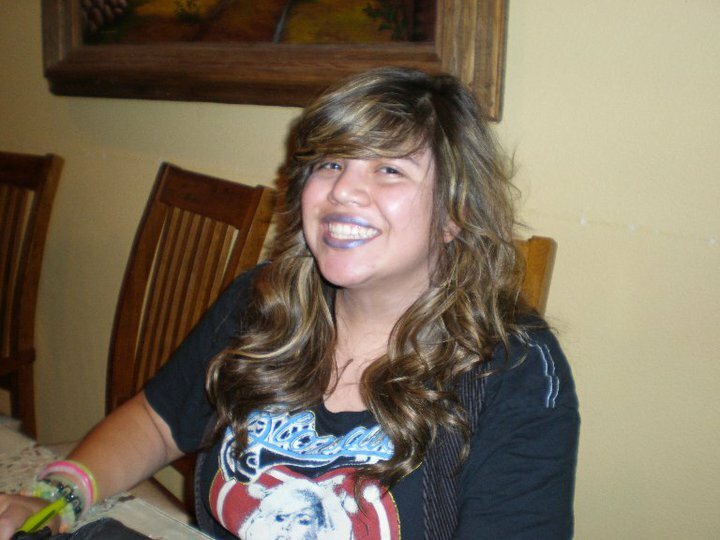 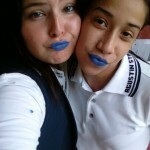 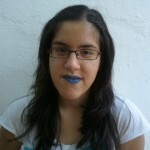 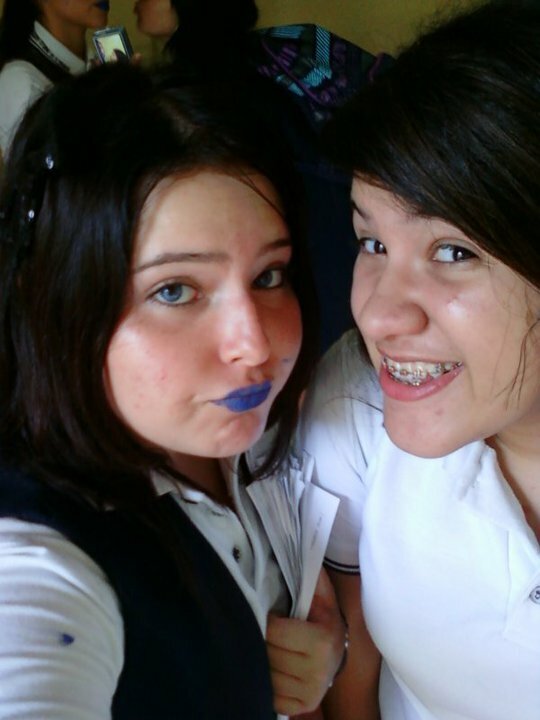 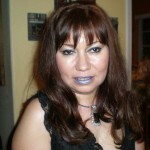 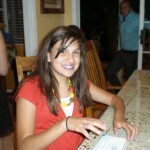 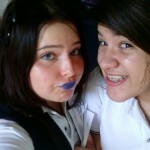 Puerto Rico quickly became one of the world’s hotspots for Blue Lips activity when Luz Batista-Santiago rallied her troops once more in 2010. 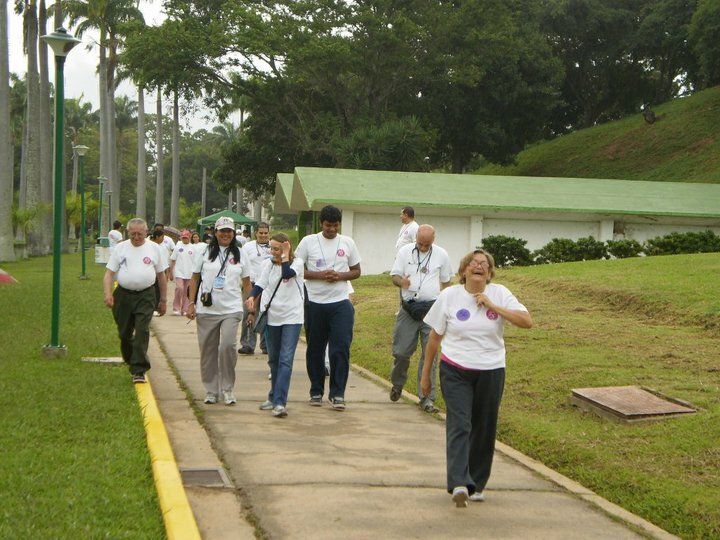 As a result, she and the Grupo de Apoyo para Pacientes de Hipertensión Pulmonar en Puerto Rico (GAPHPPR) have attracted a lot of attention including several articles in major Puerto Rican newspapers. 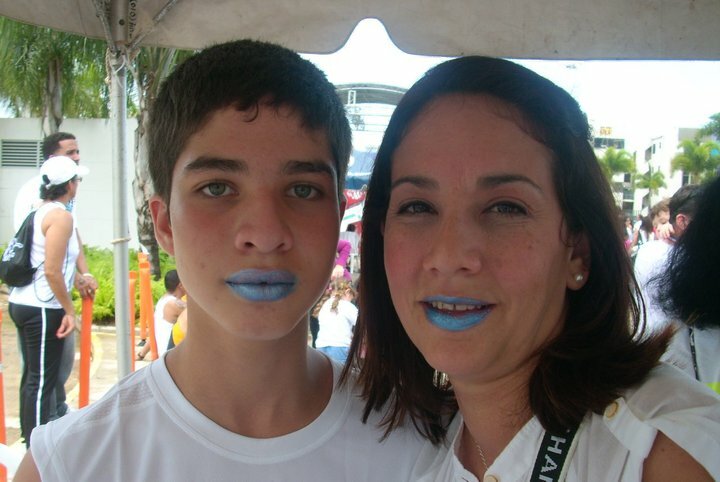 A student of the Dr. Agustín Stahl School in Bayamón, Puerto Rico read one of these articles and was inspired to ask her classmates to provide blue kisses to contribute to the Guinness World Record Attempt. 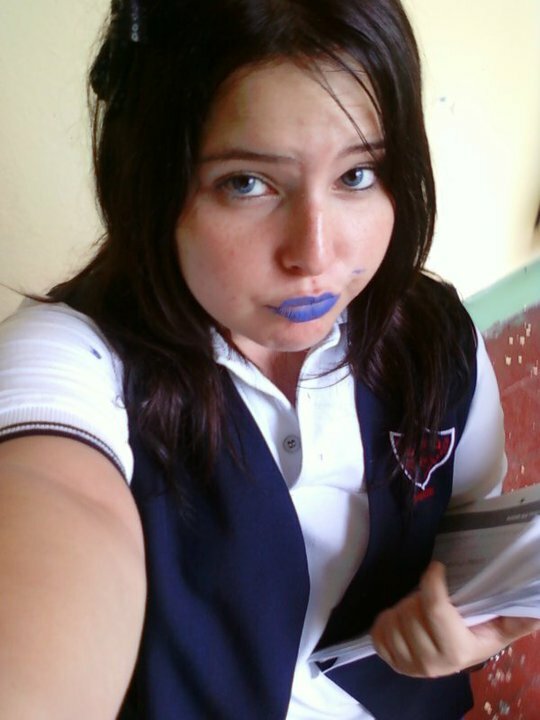 She has already collected 23 kisses in honour of her mother, who has been diagnosed with PH, and is now making plans with the GAPHPPR to approach the school’s director about staging a school-wide “Bezitos Azules” or “Blue Kisses” Day to collect kisses from the entire student body. It is heartening to see connections being made by people around the world working together to raise awareness of PH. 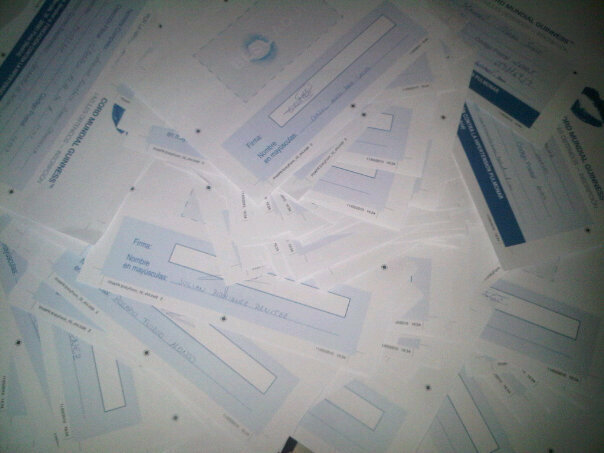 A very big thanks to all the students at the school who have already taken part and good luck to you for your forthcoming plans! 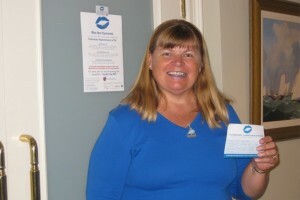 We’d love to hear more of your news! 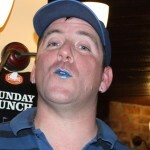 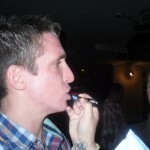 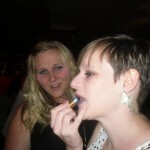 Puckering Up In the Pub! 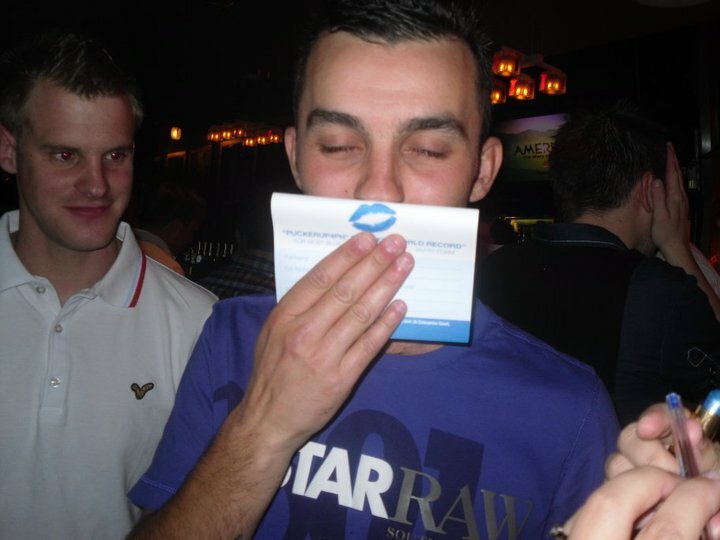 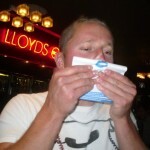 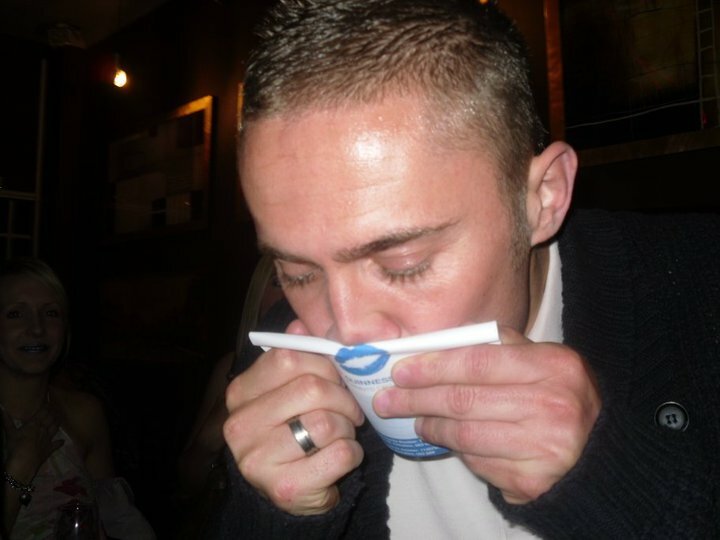 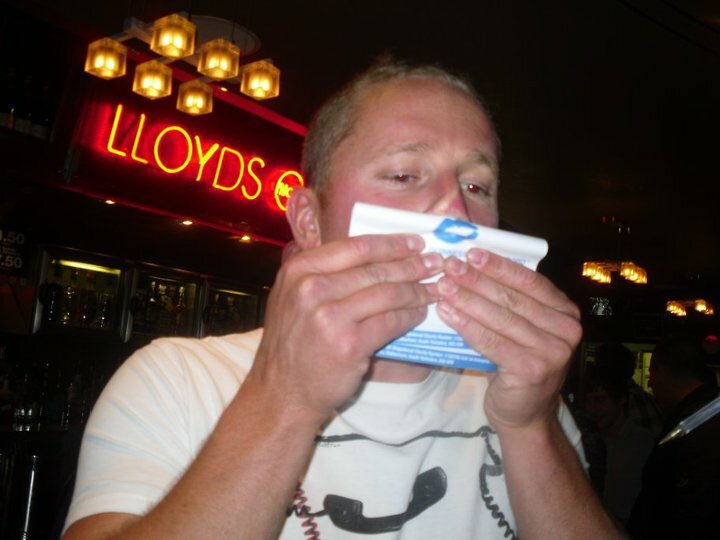 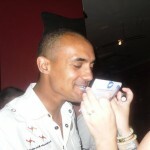 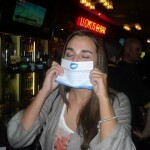 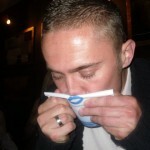 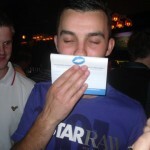 Pubs are proving to have great potential in the UK for persuading people to PuckerUp4PH. 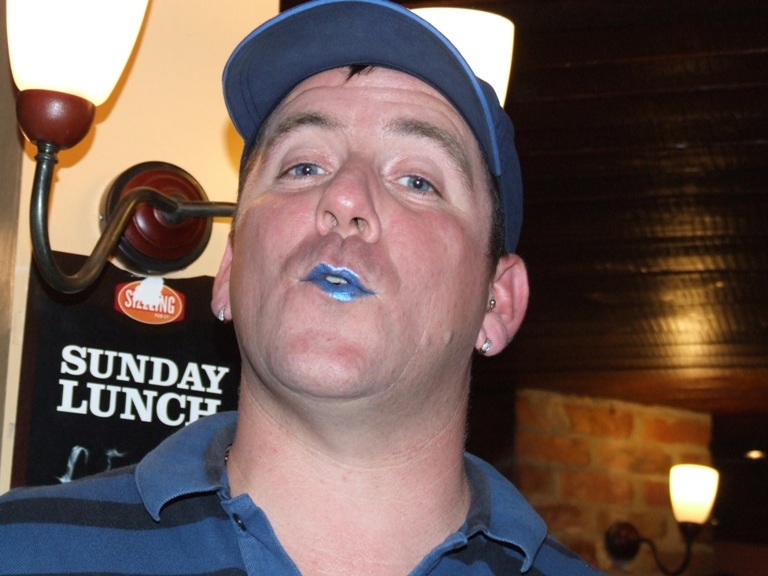 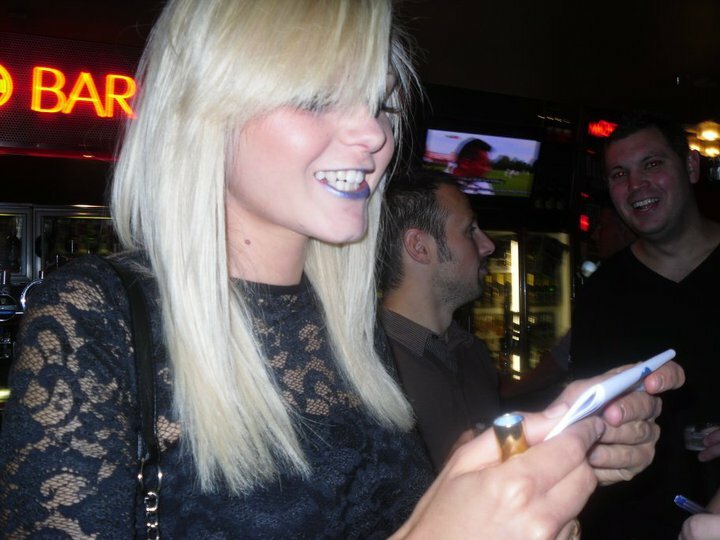 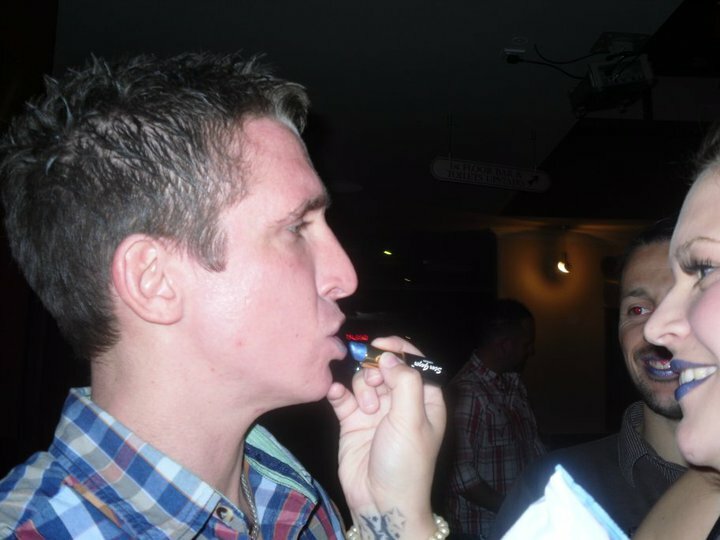 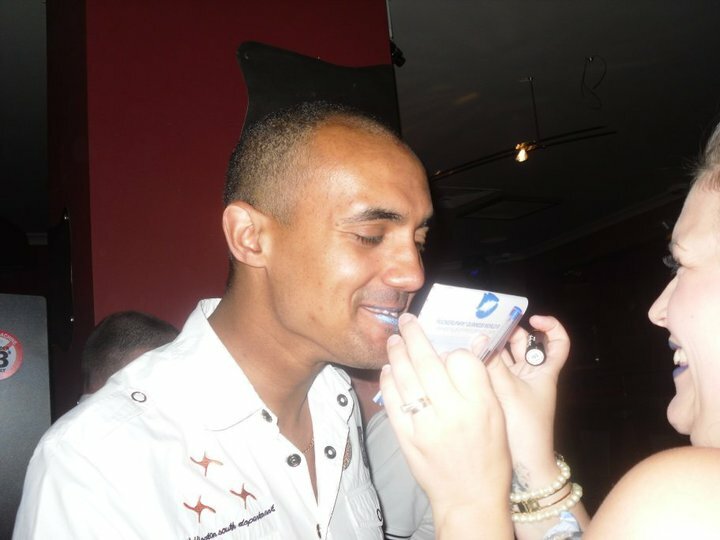 Jenny Leafe and friends hit a Loughborough pub recently and talked over 50 punters into lowering their pints long enough to slap on some blue lippy and kiss an entry form. 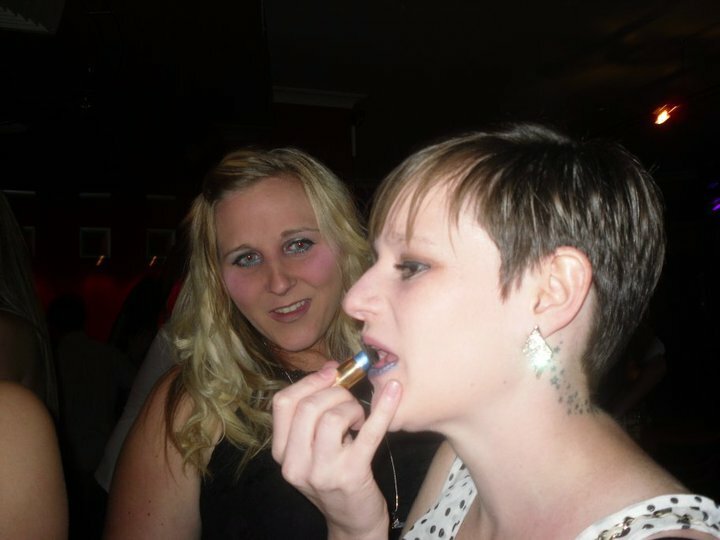 A very big thanks to you all and good luck to Hannah, one of Jenny’s friends, who is due to take over her office with a PuckerUp4PH awareness drive on the 20th of this month. 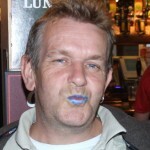 Meanwhile in the Briars Pub in Kettering Jacqui Boldy reports another 70+ kisses added to her impressive contribution to date. 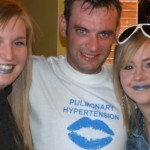 The Briars have kindly helped out, providing space for Jacqui to set up a table to collect kisses and do some fundraising for the PHA-UK and also encouraging their staff to wear the PuckerUp4PH t-shirts to help raise awareness. 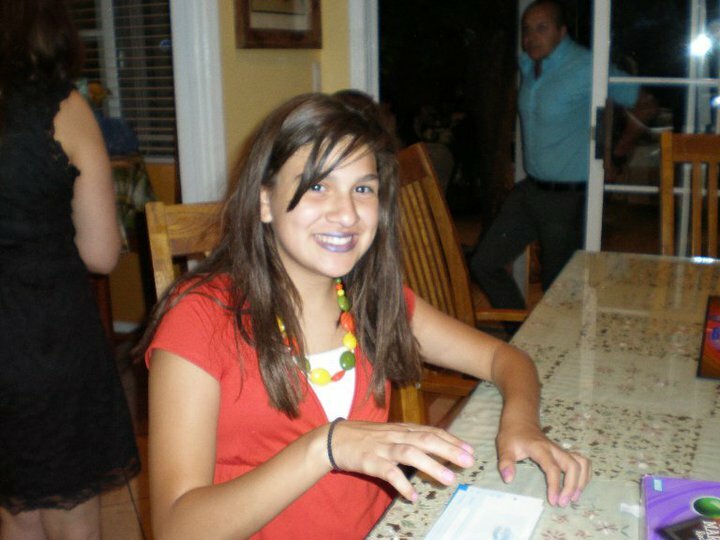 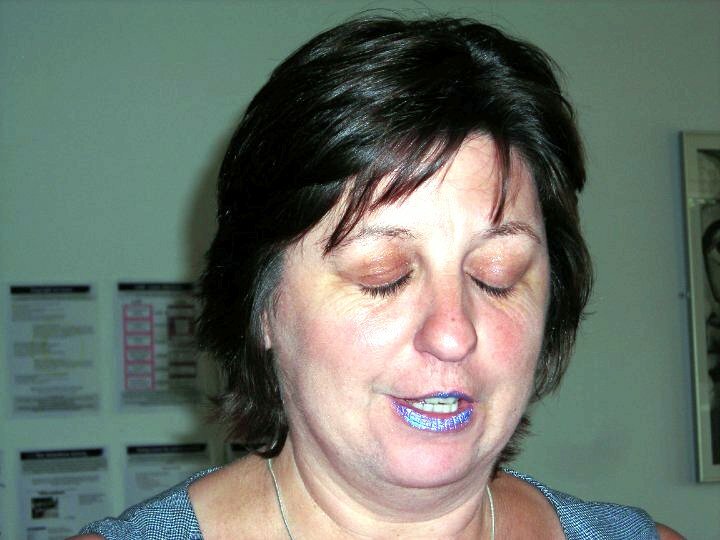 Jacqui hasn’t missed an opportunity to contribute to the campaign carrying her Blue Lips Kit wherever she goes and even collecting a handful of lip prints recently at her daughter’s birthday dinner. 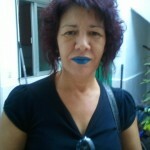 Her drive is inspiring others to help as well with a friend who is a nurse at a local hospital collecting 56 kisses herself so far. 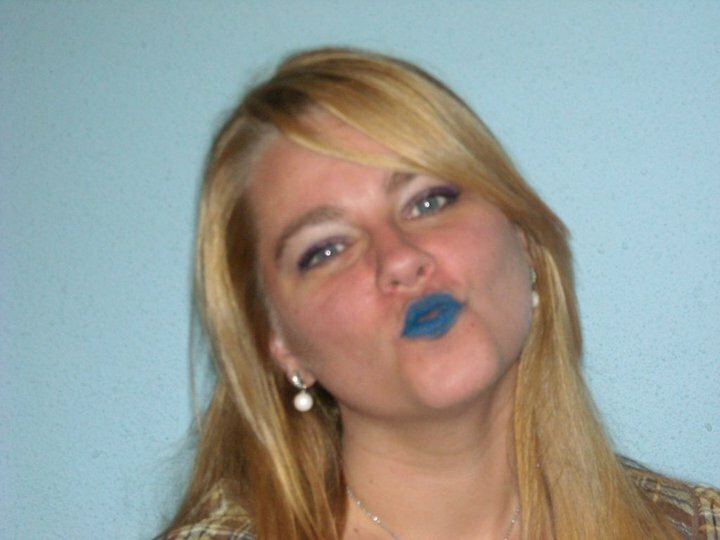 Keep it up Kettering!